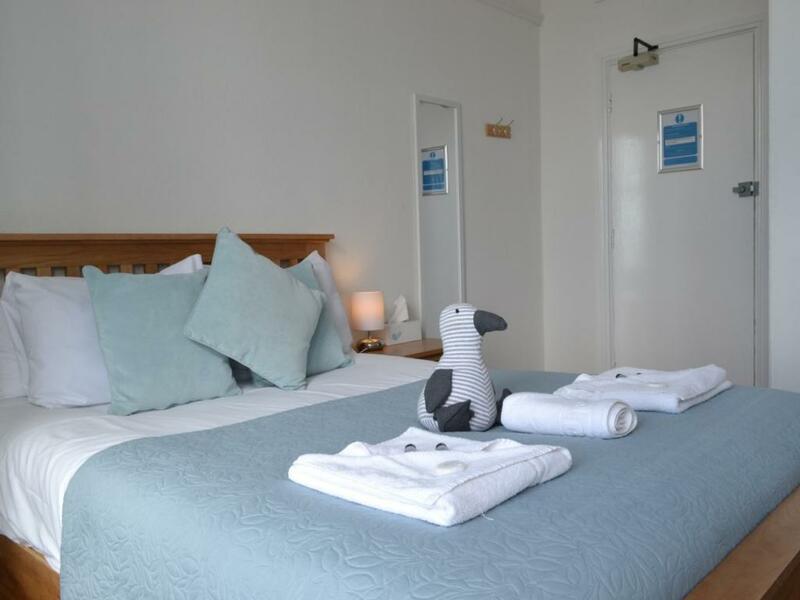 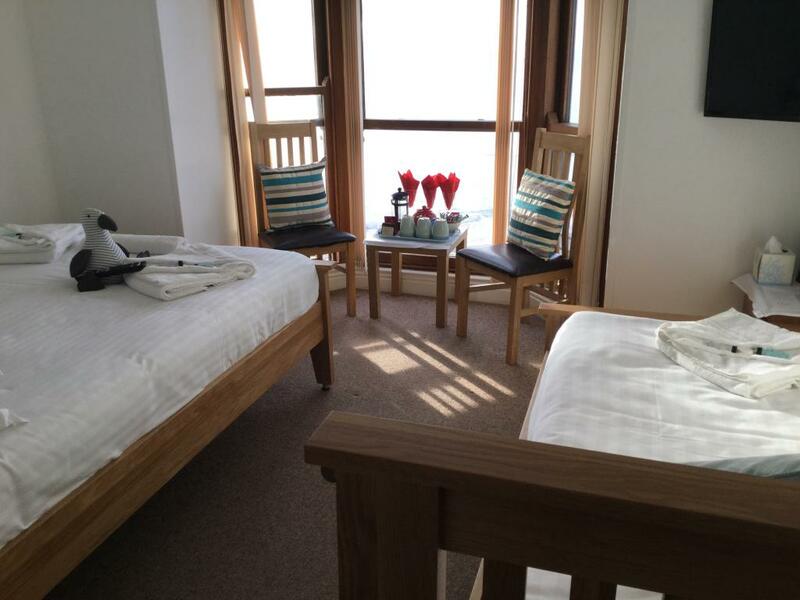 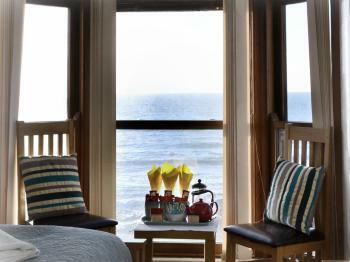 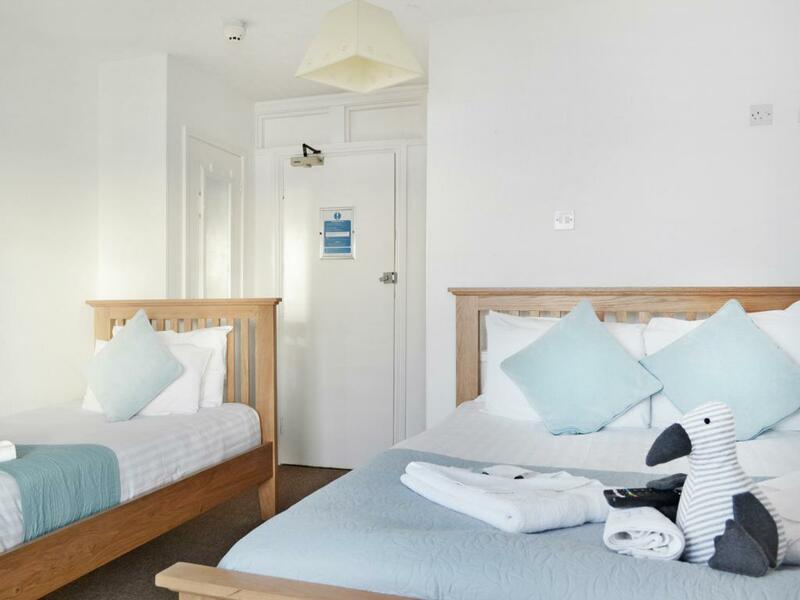 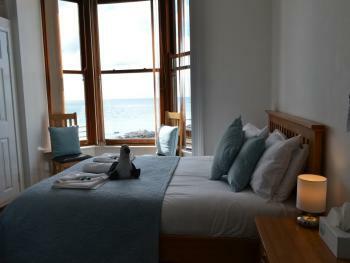 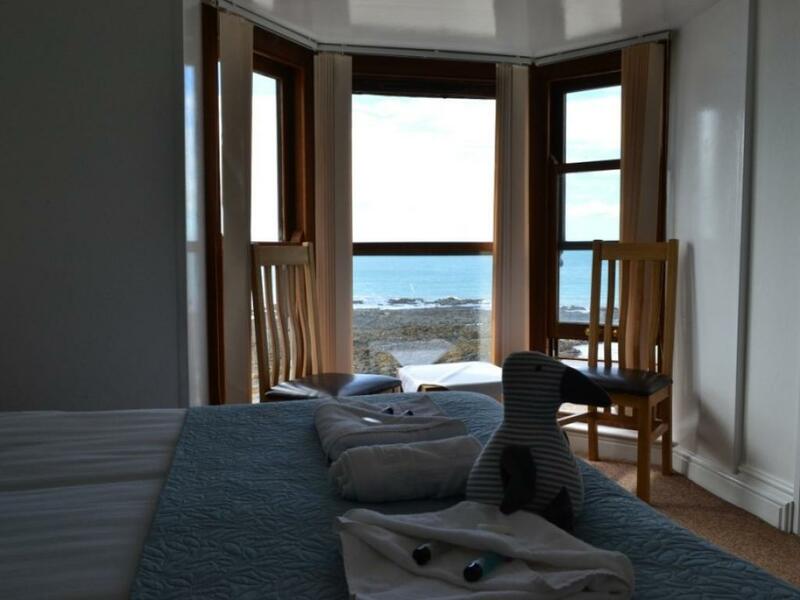 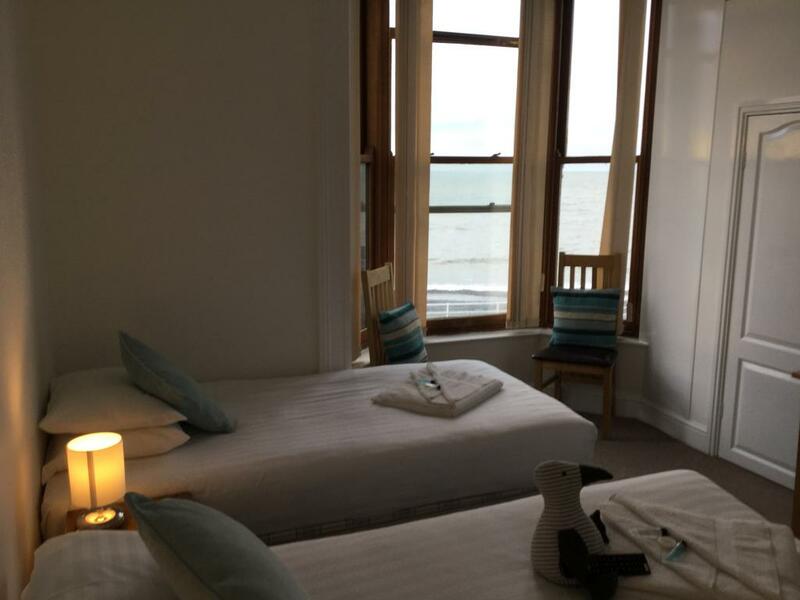 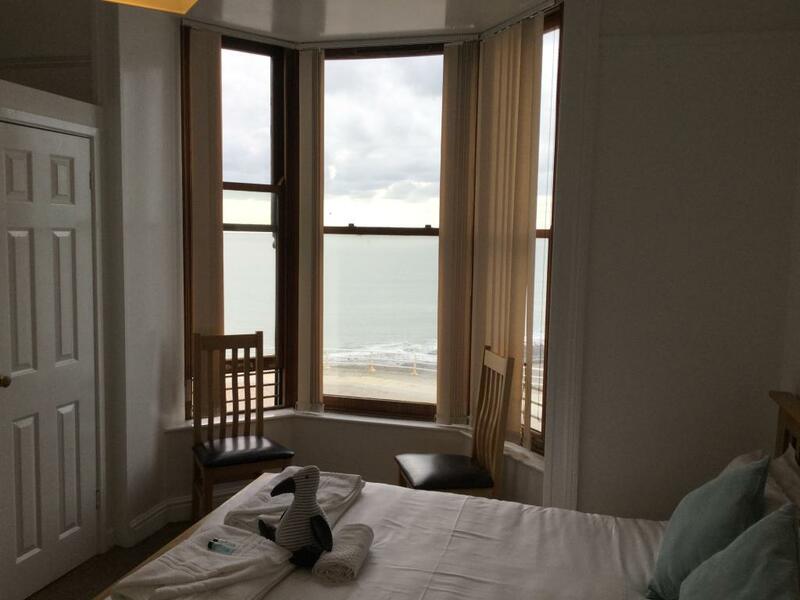 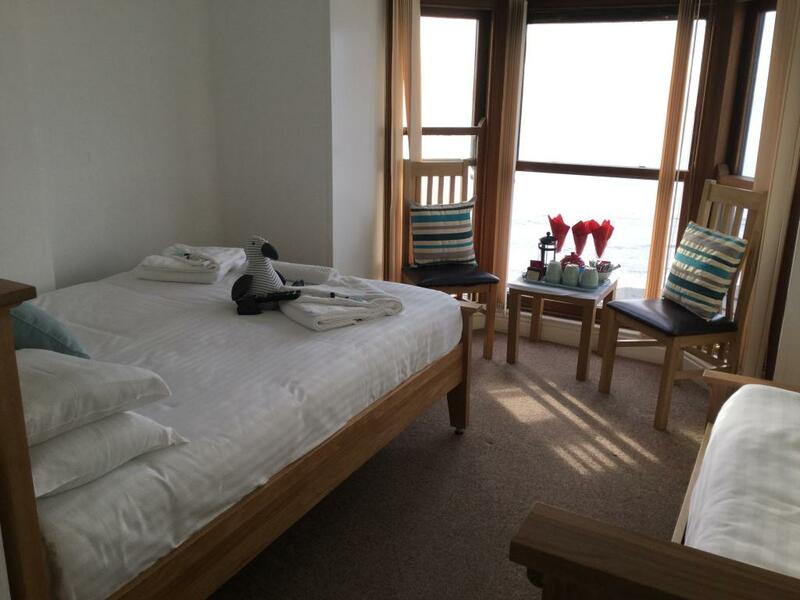 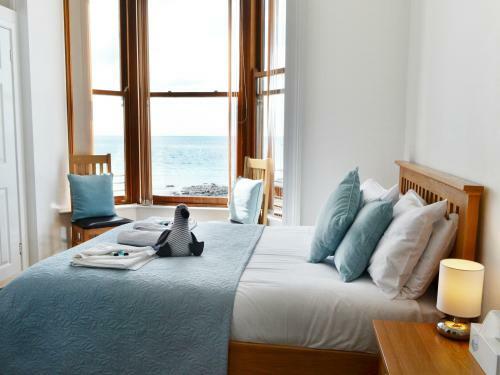 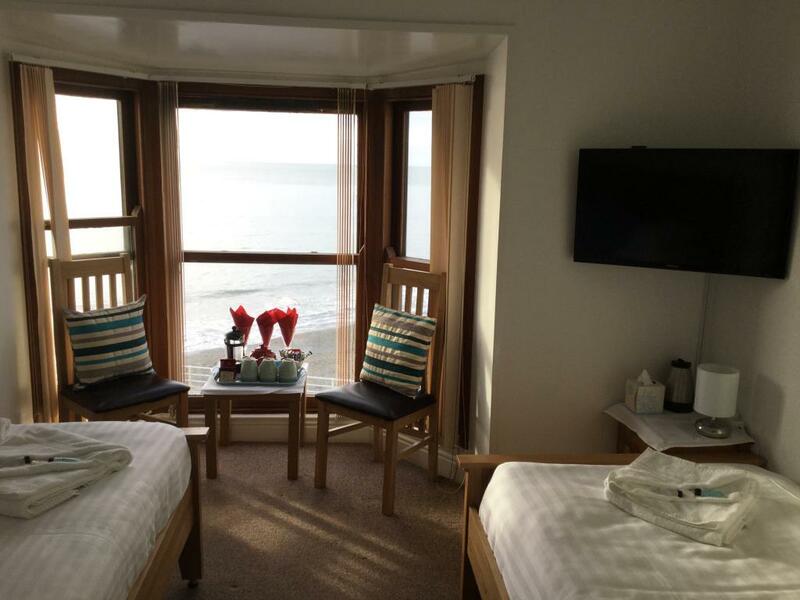 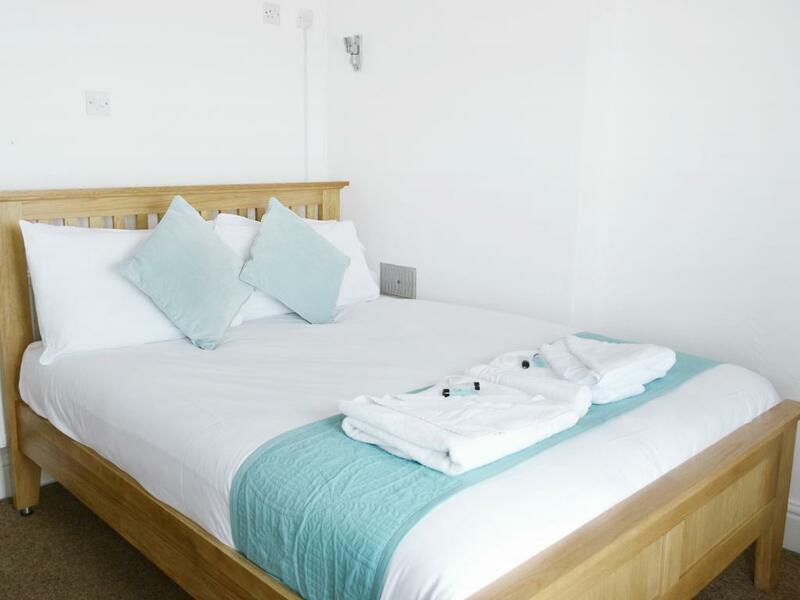 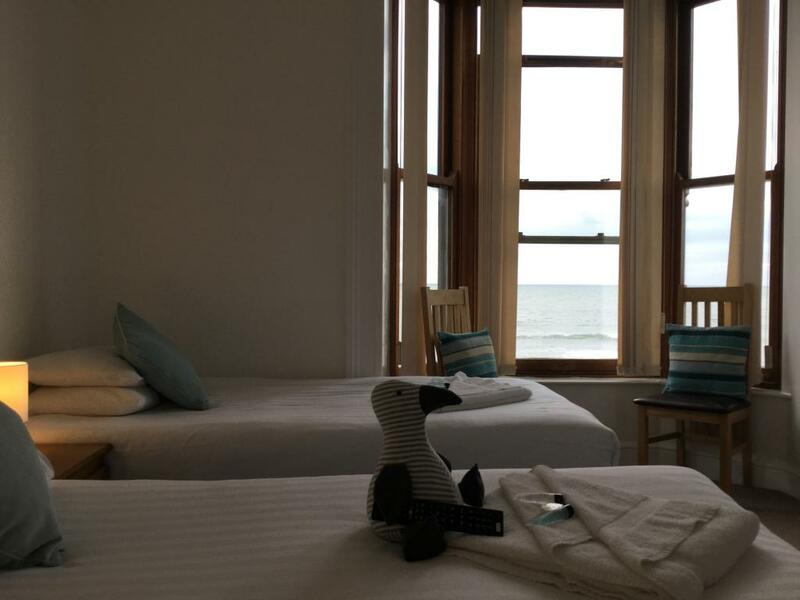 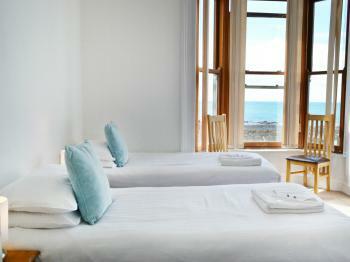 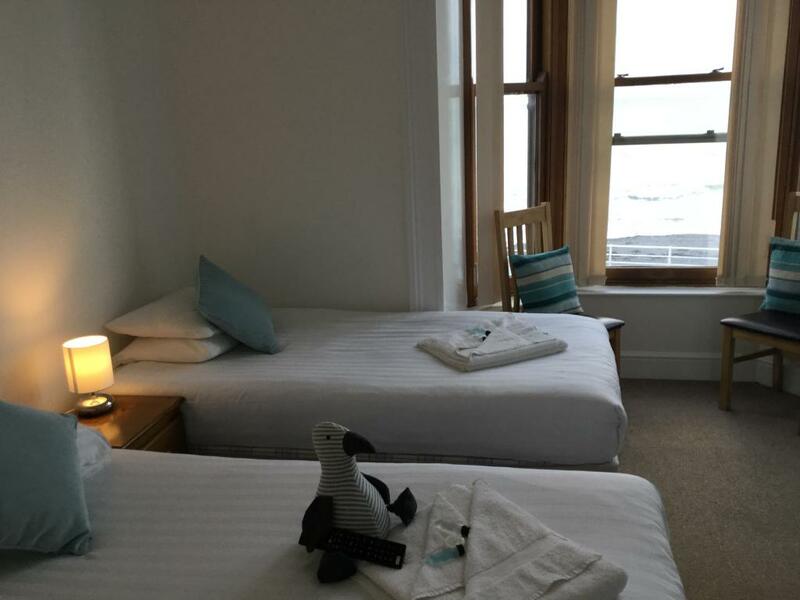 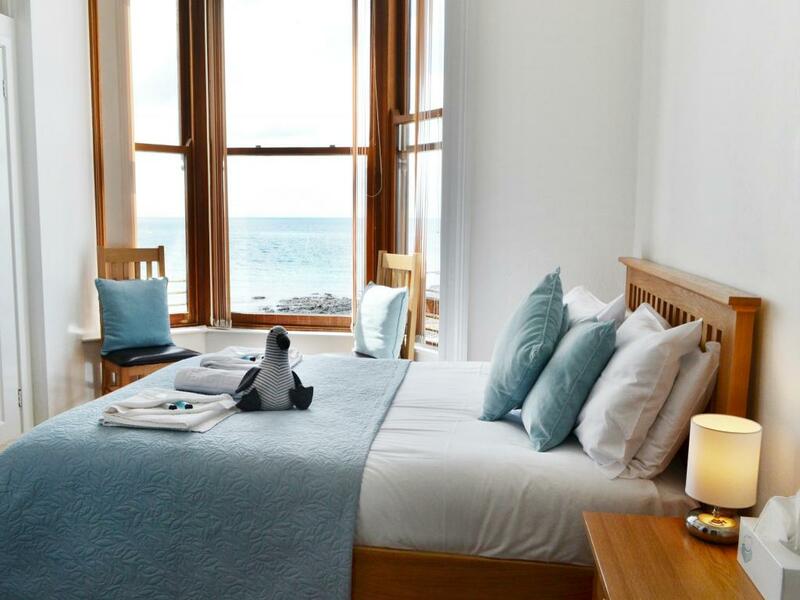 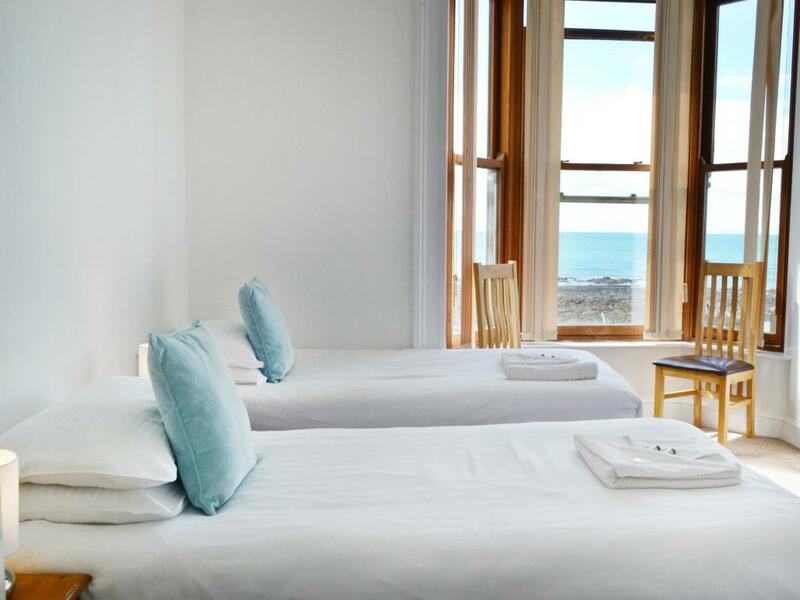 All Double en-suite rooms have sea views and modern furnishings. 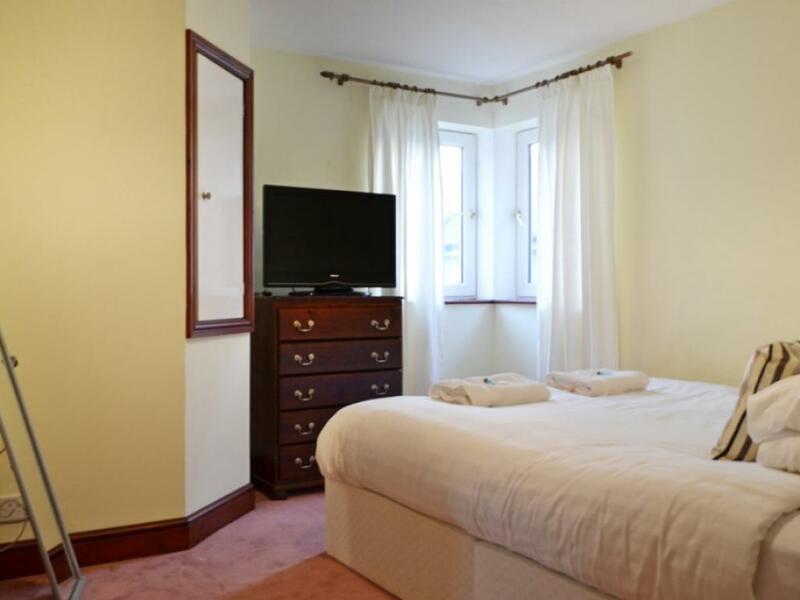 All rooms have a flat screen television and tea and coffee making facilities. All of our family rooms consist of 1 x double bed and 1 x single bed. 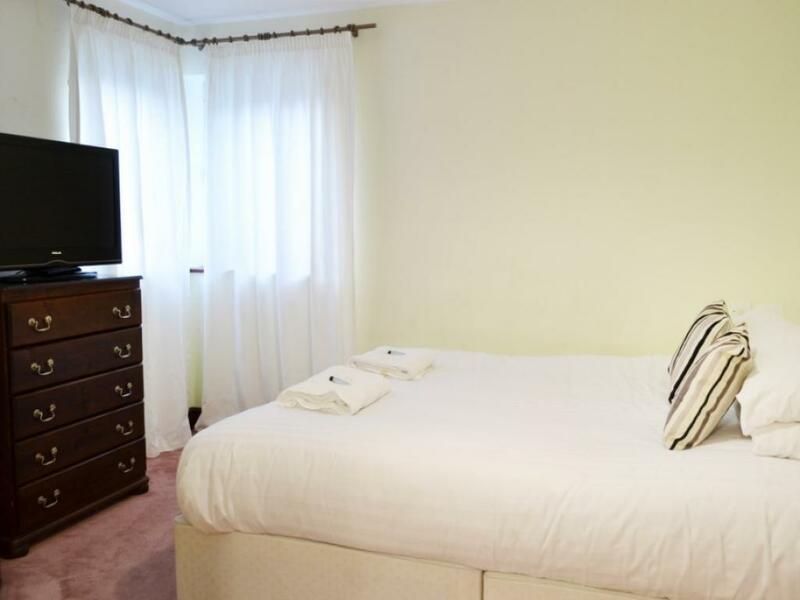 All rooms have a tea and coffee making facilities(with local organic coffee and blood orange fruit tea), en suite facilities and a flat screen television. 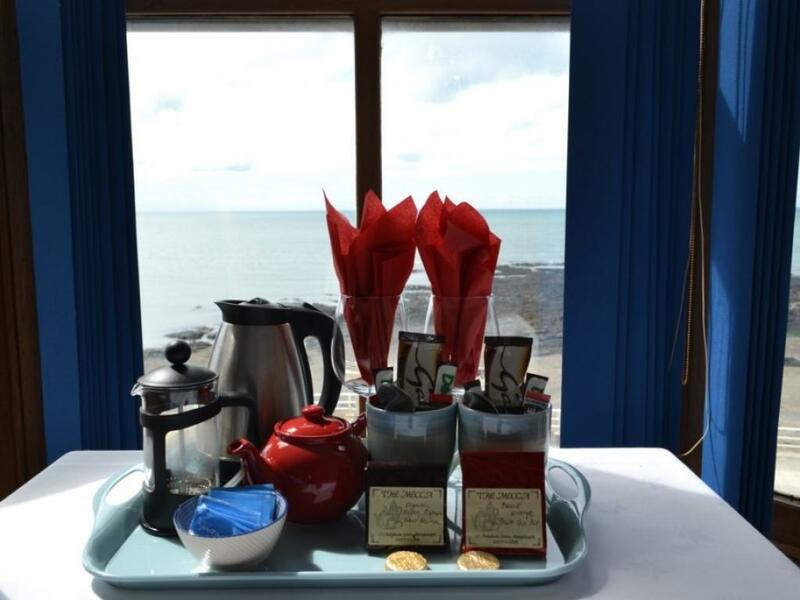 A fine continental breakfast is served daily in our breakfast room with sea views. 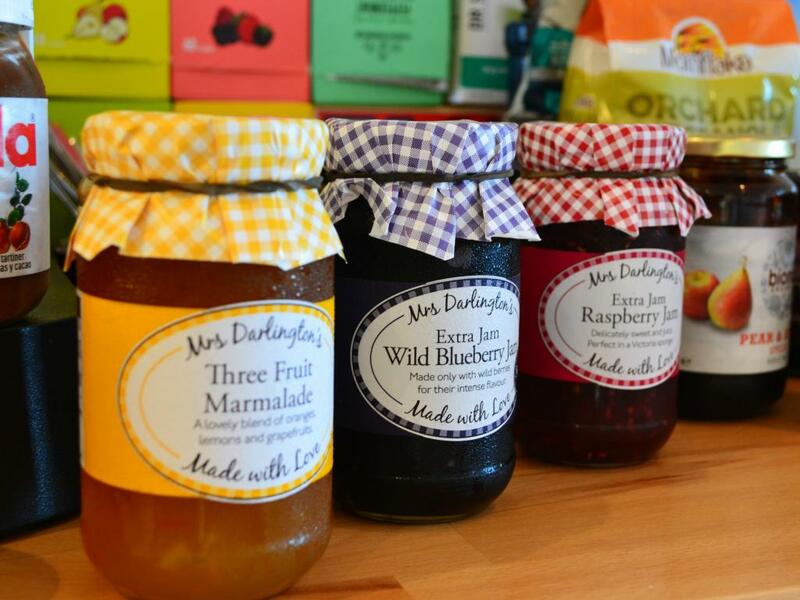 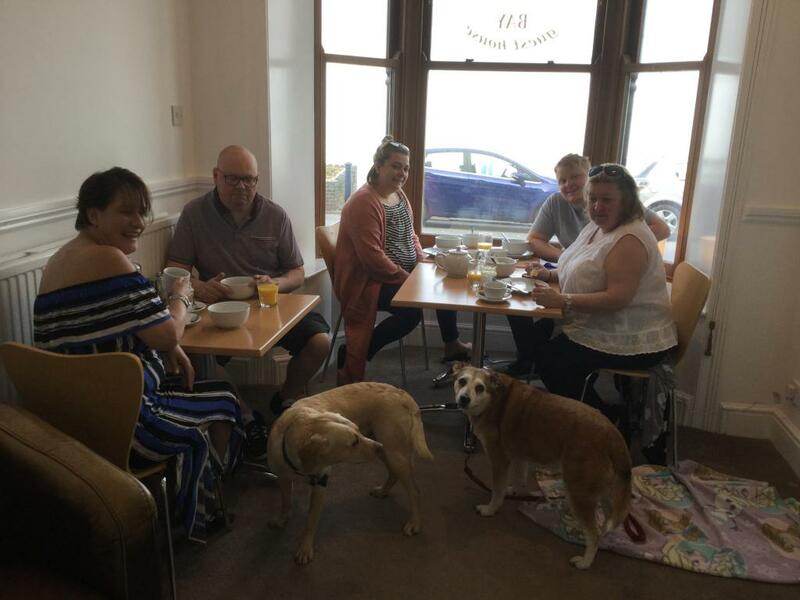 The breakfast can be purchased for an additional £4.50 per person (consists of smoked salmon, herrings, continental cheese and meat, fresh fruit, yogurt, homemade local preserves and organic coffee and tea). 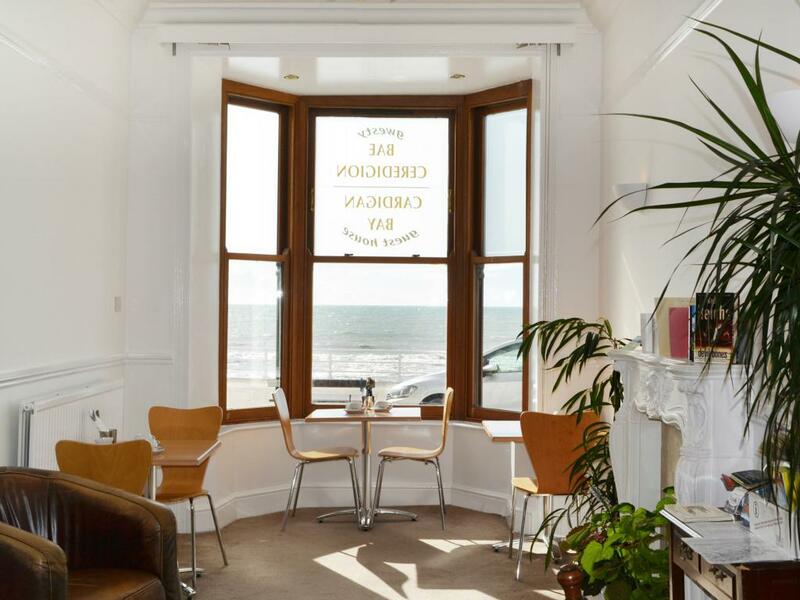 We always have a large selection of gluten free cereals available. 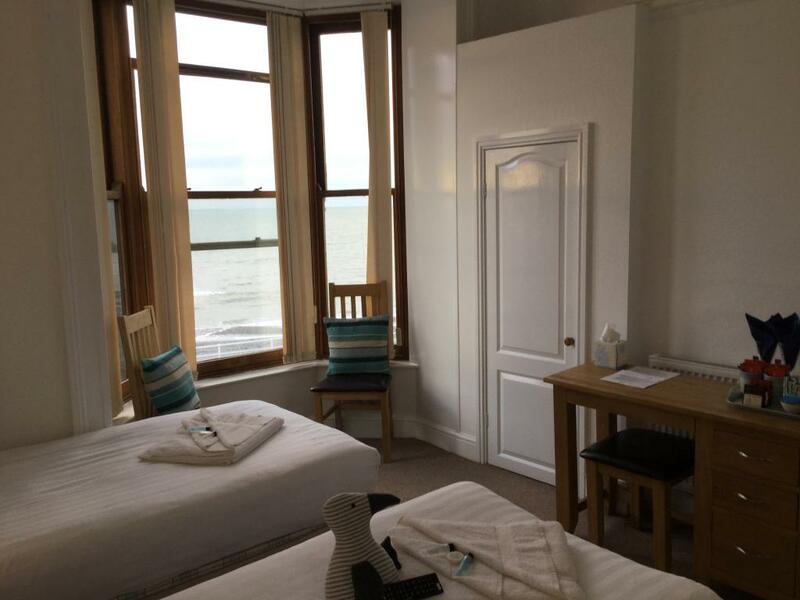 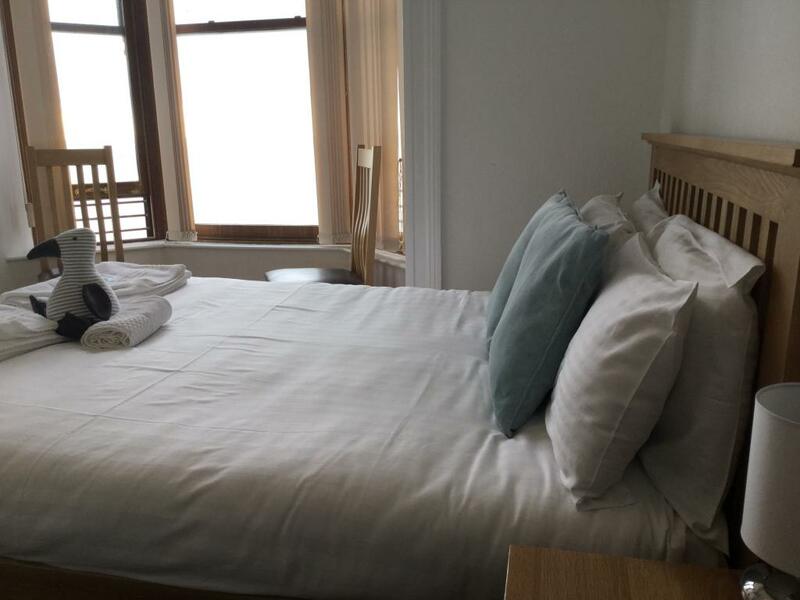 The first floor twin room is probably one of our most exclusive rooms featuring a large bay window, high quality furnishings and a flat screen television. 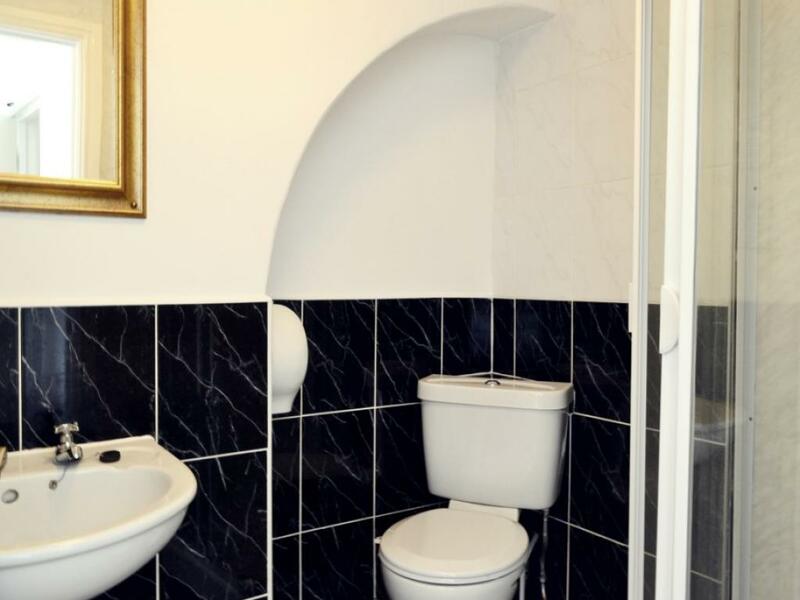 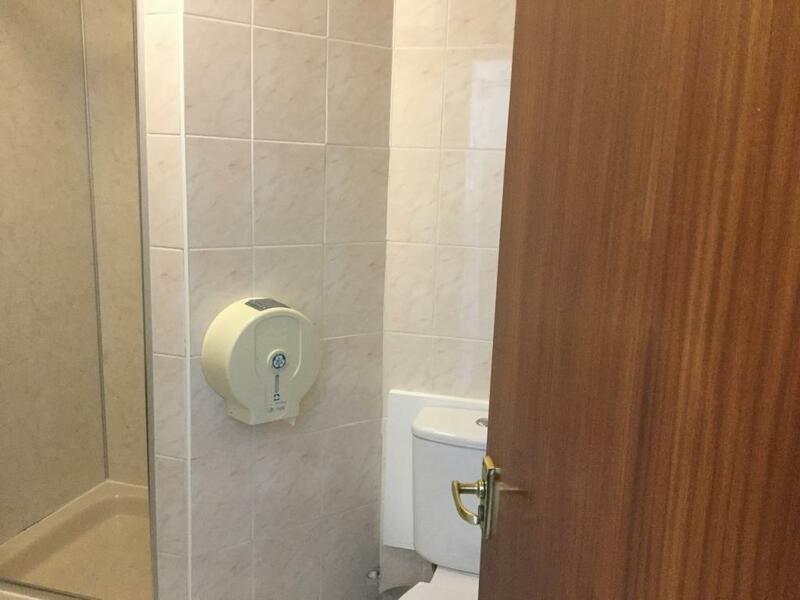 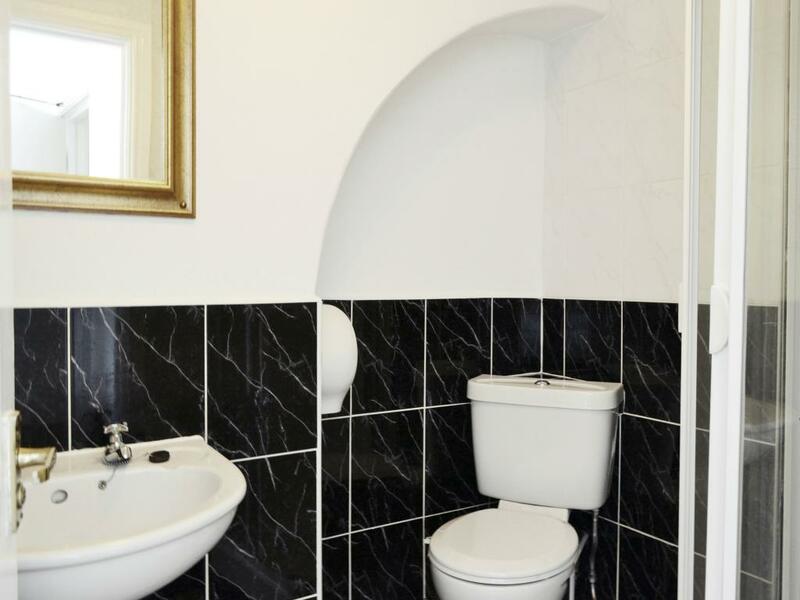 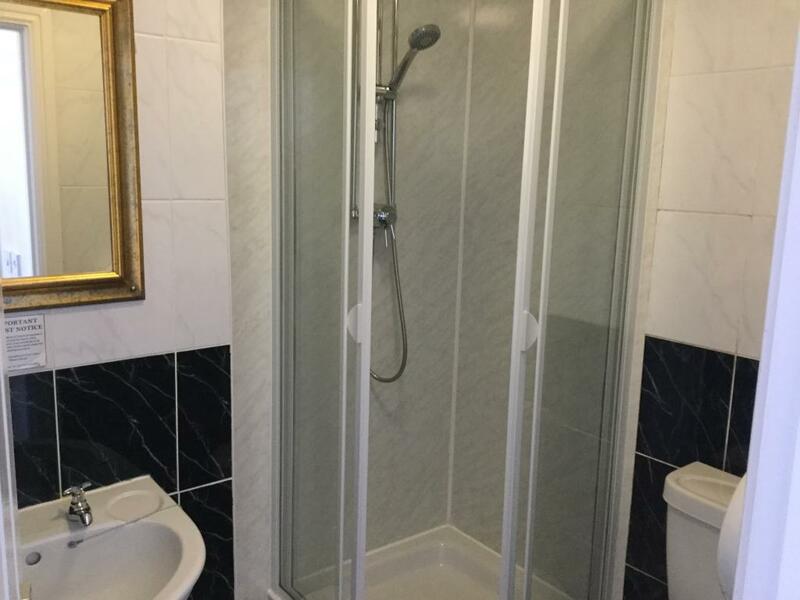 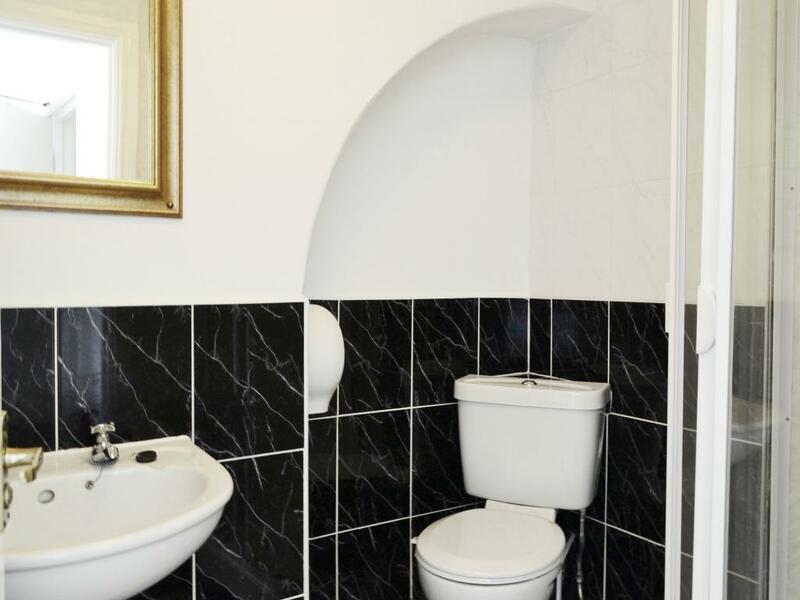 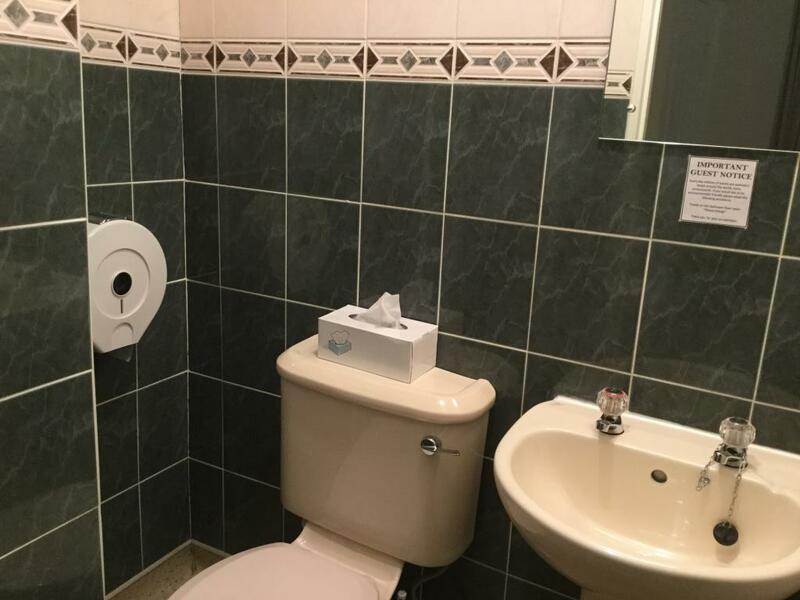 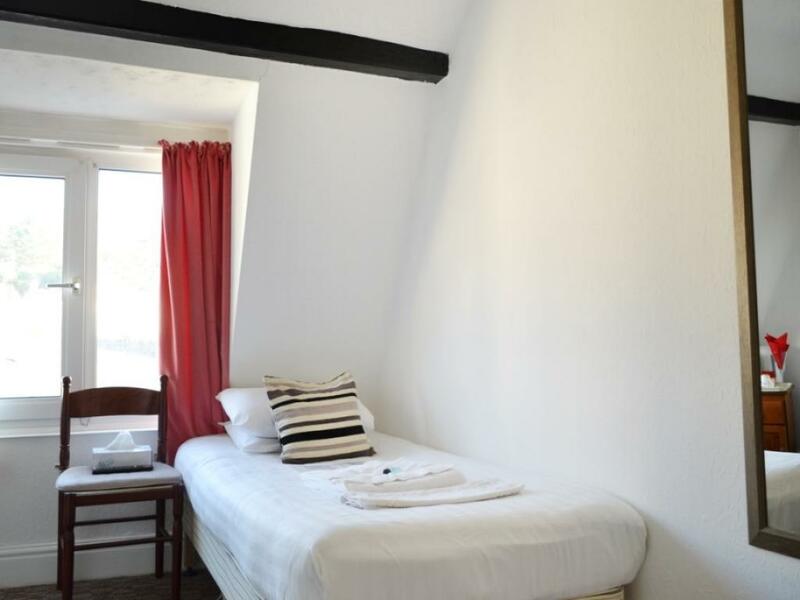 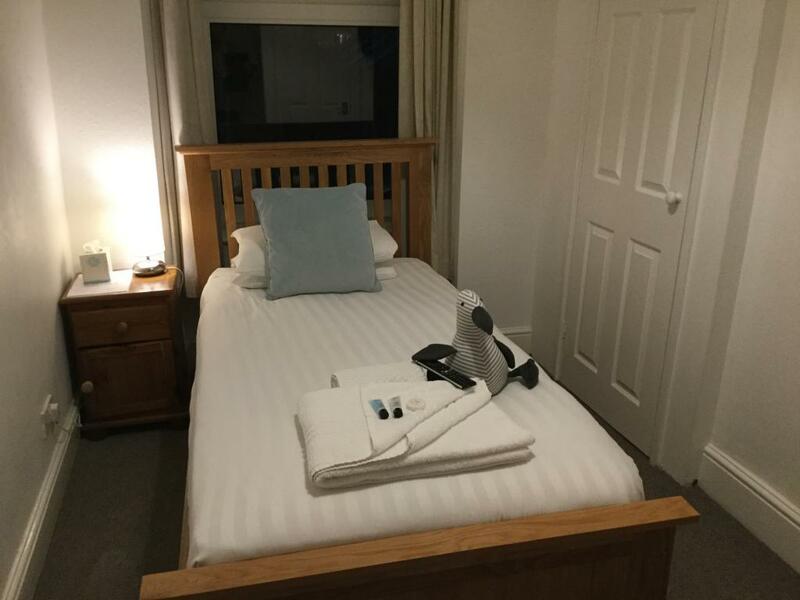 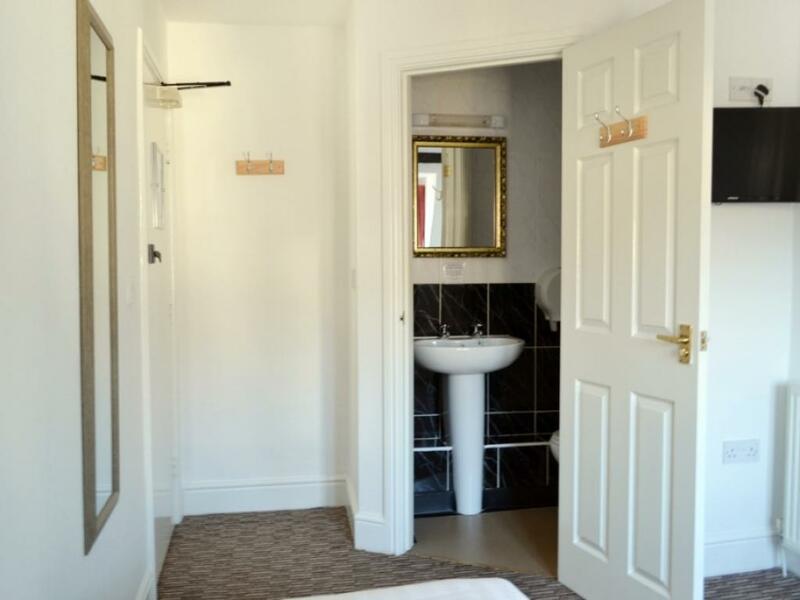 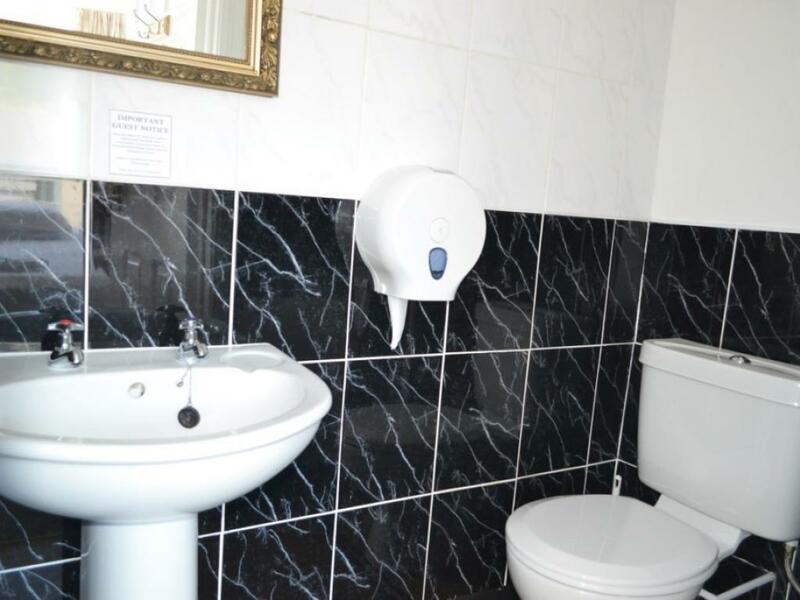 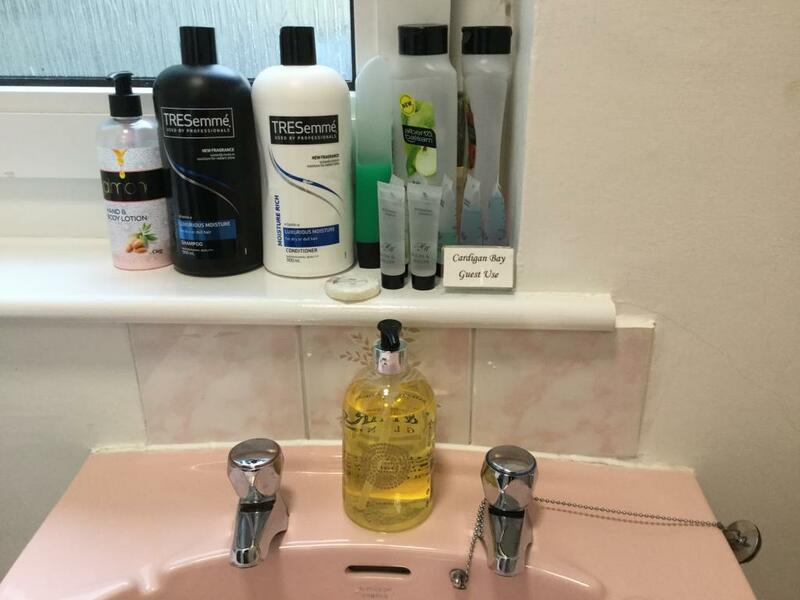 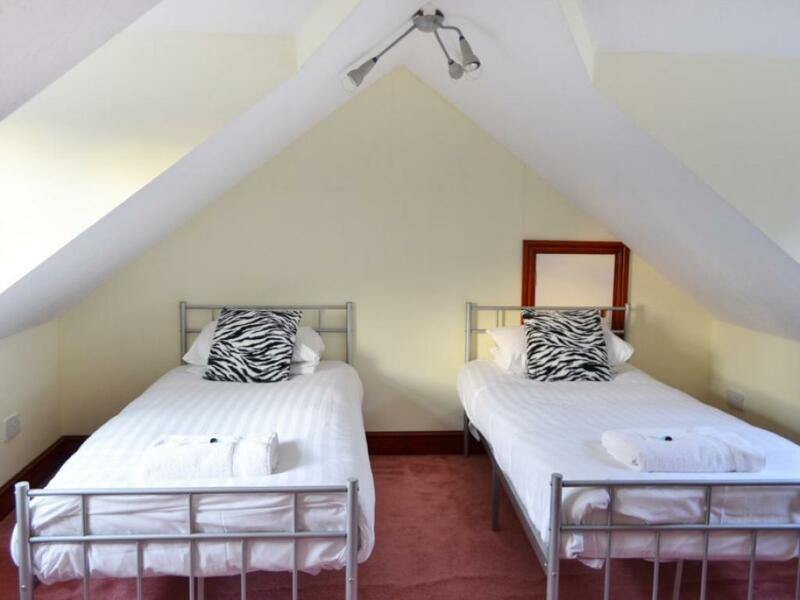 The Double room with shared bathroom is surprisingly well equipped with a flat screen television, private toilet and wash basin, tea and coffee making facilities and central heating. 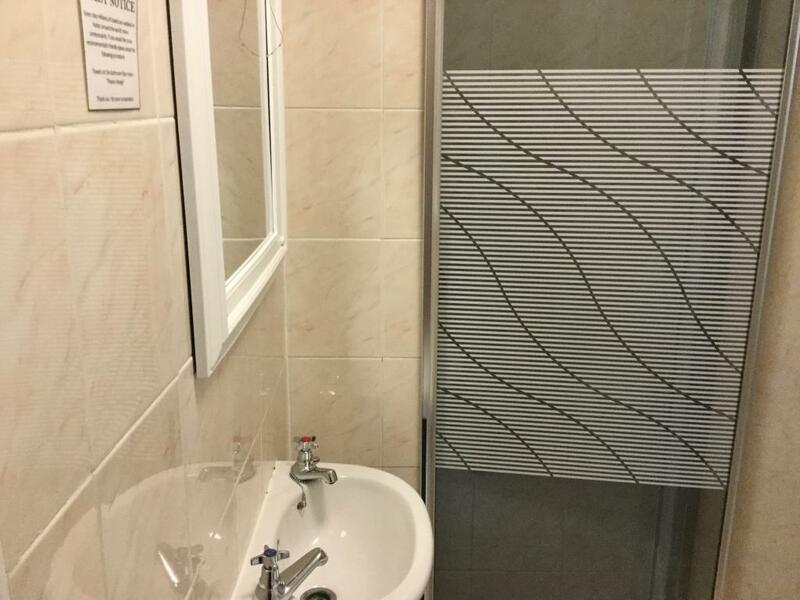 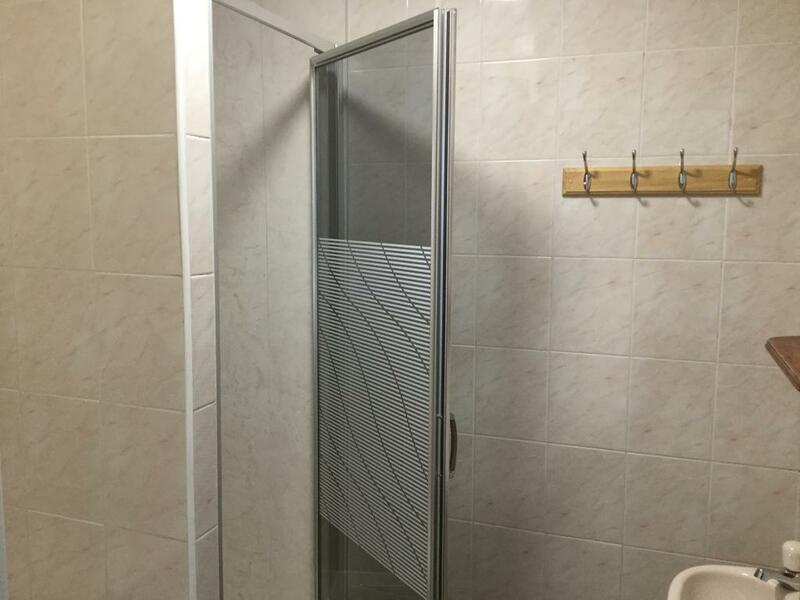 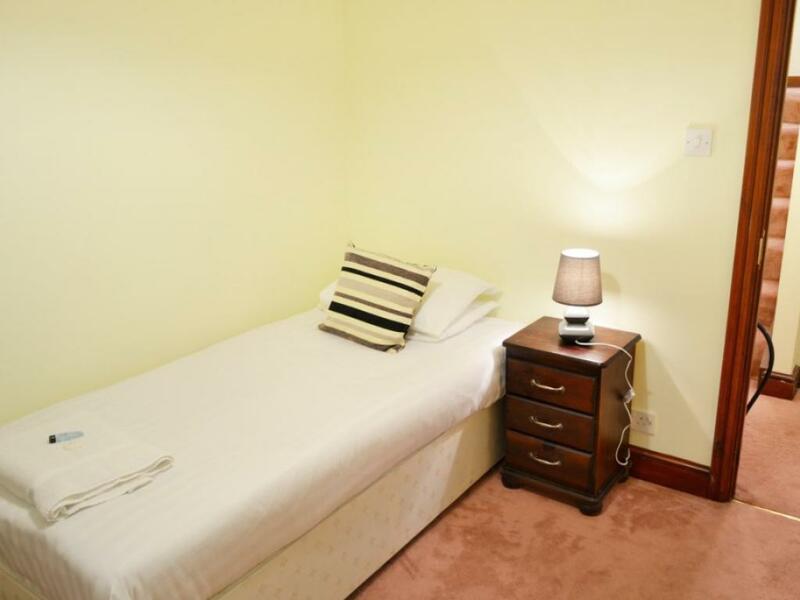 Single room with shared shower (private toilet and wash-basin inside the room) have a comfortable single bed, flat screen TV, free WiFi and tea/coffee making facilities. 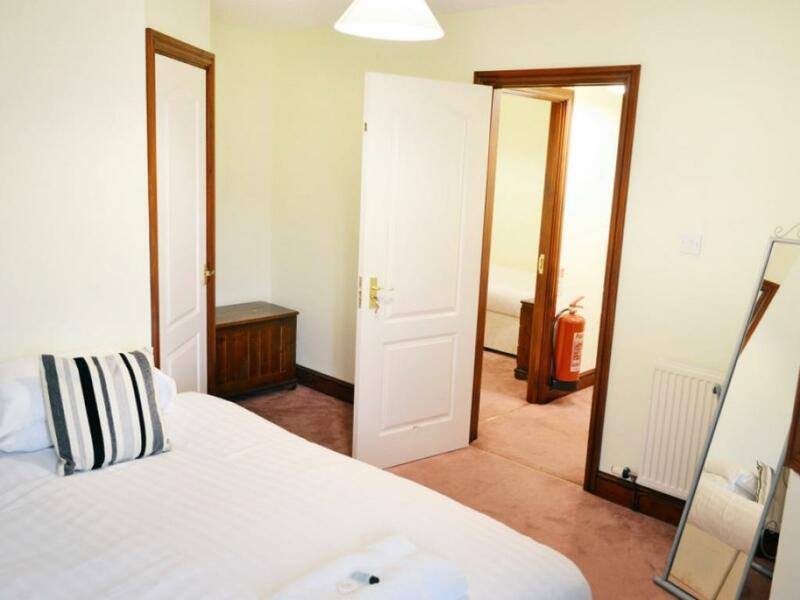 The three bedroom apartment is attached to the main property however it only has rear views. 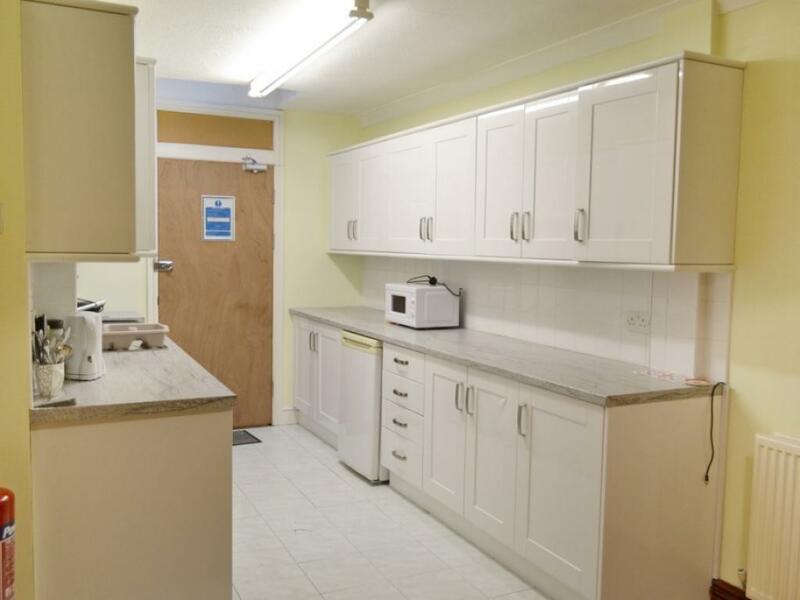 The apartment consists of a fitted kitchen, dining area, television room, bathroom, 1 king room, 1 x single room and 1 x twin room. 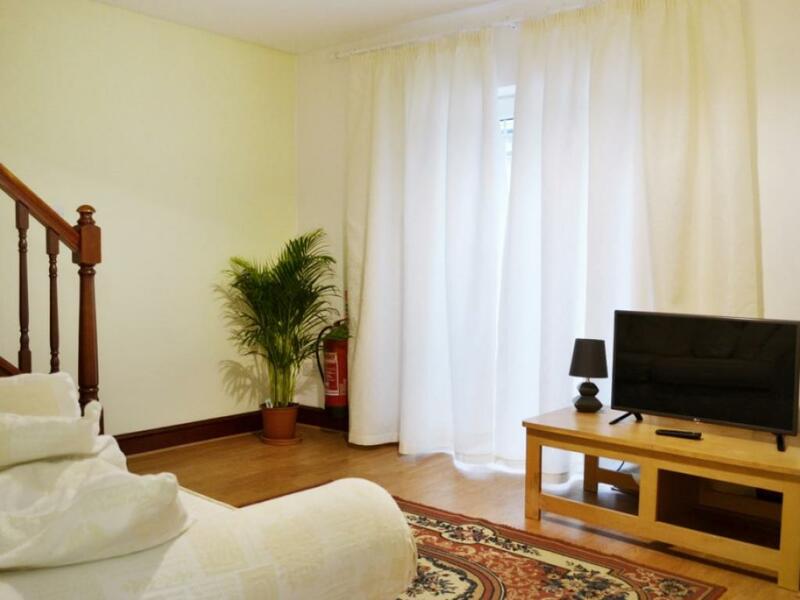 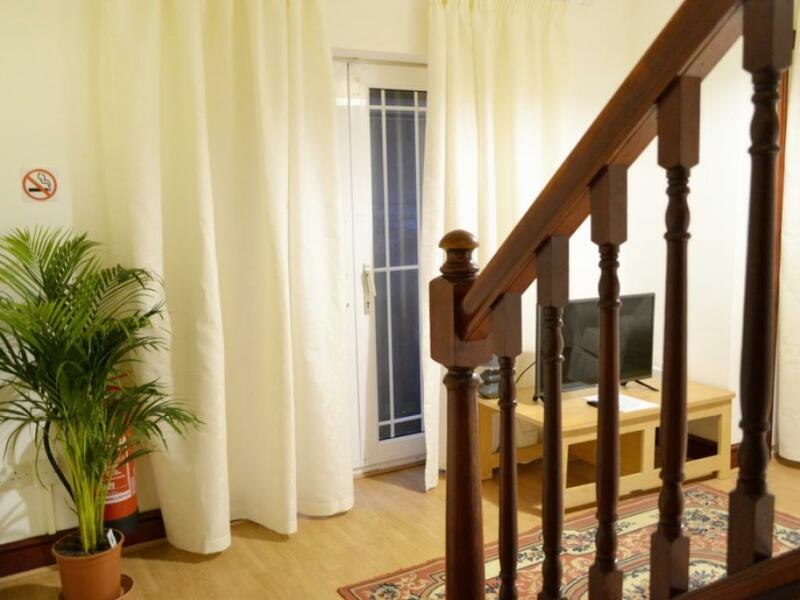 This room is incredibly popular for family gatherings whereby guests can purchase additional rooms in the main property and make full use of the apartment. 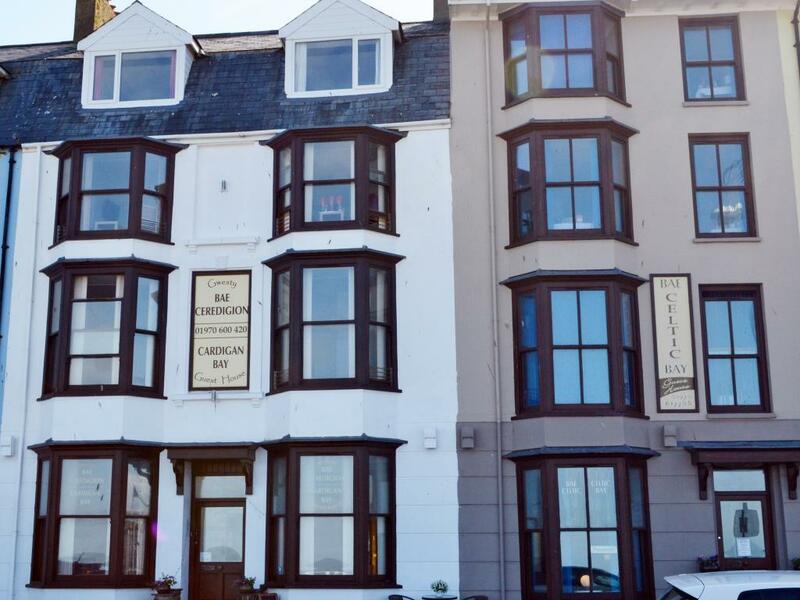 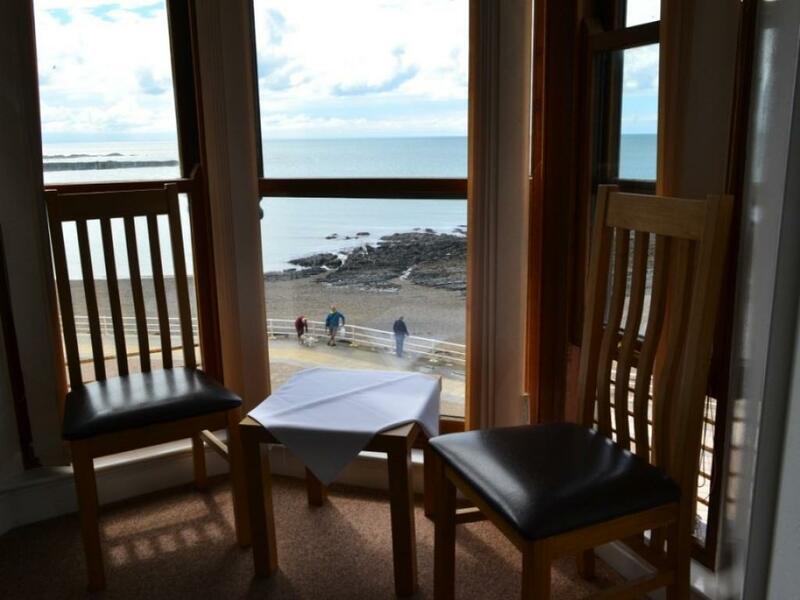 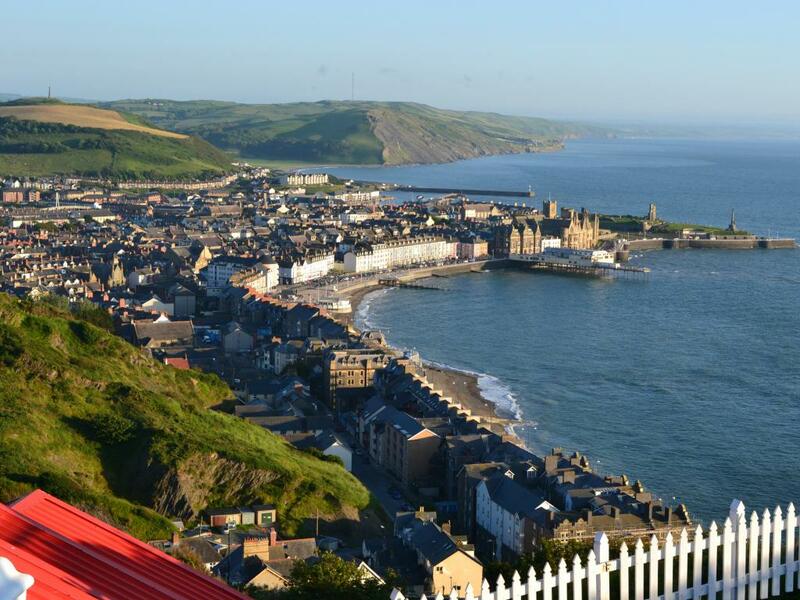 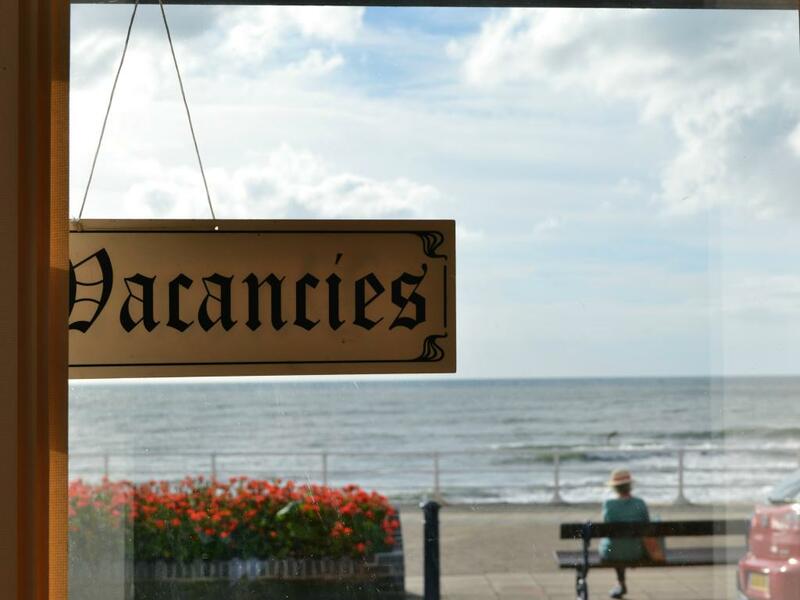 Featuring free WiFi, Cardigan Bay Guest House offers dog-friendly accommodation on Aberystwyth seafront. 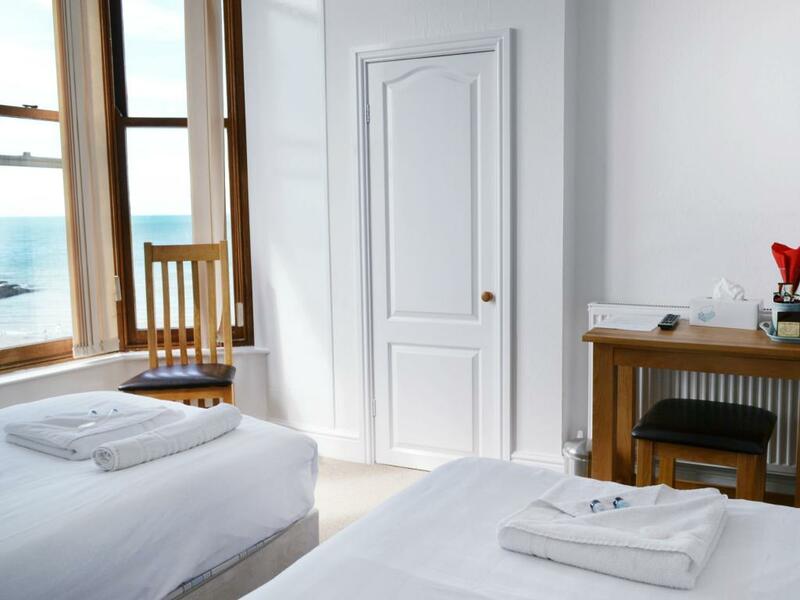 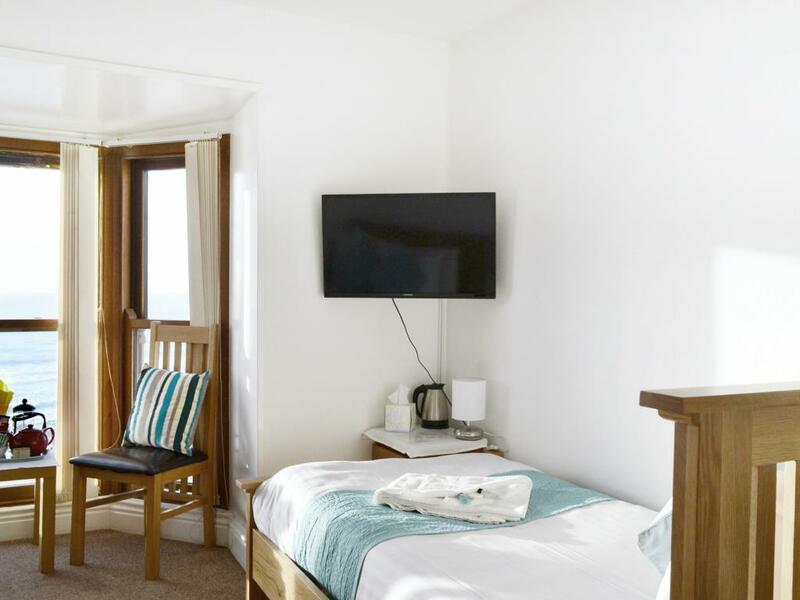 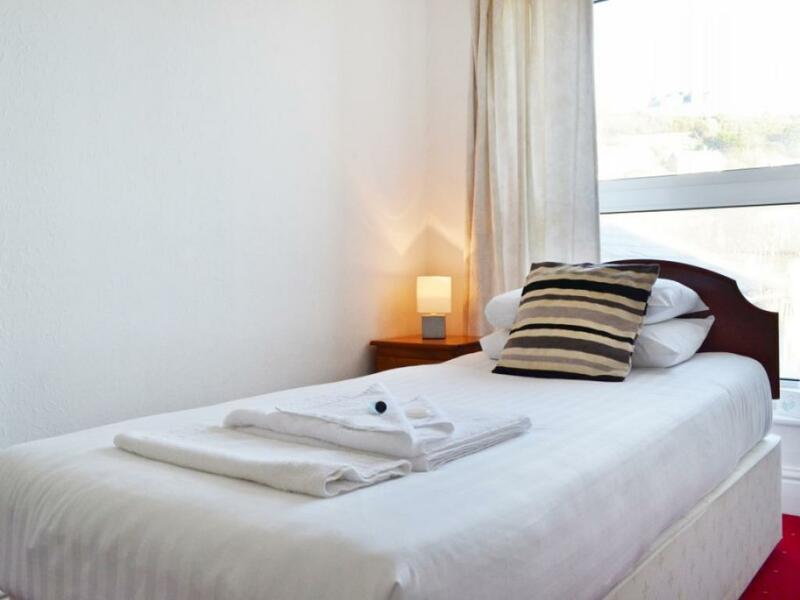 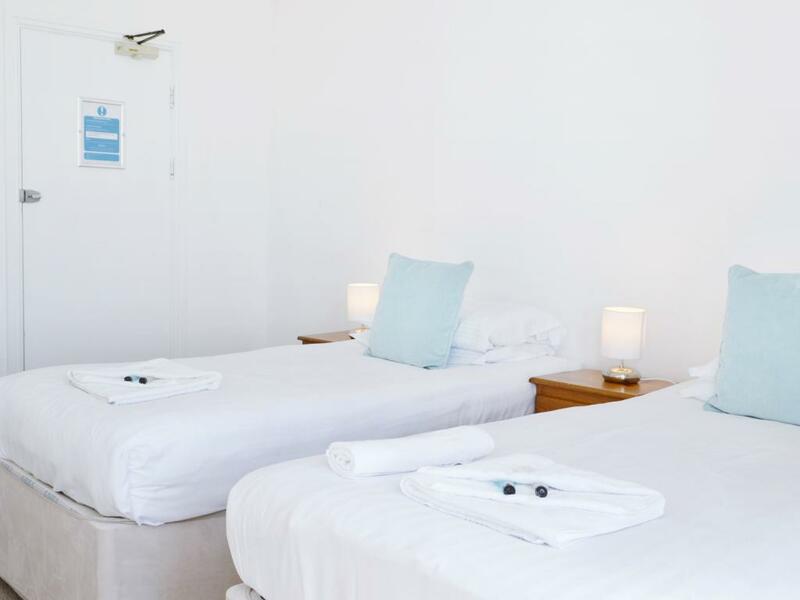 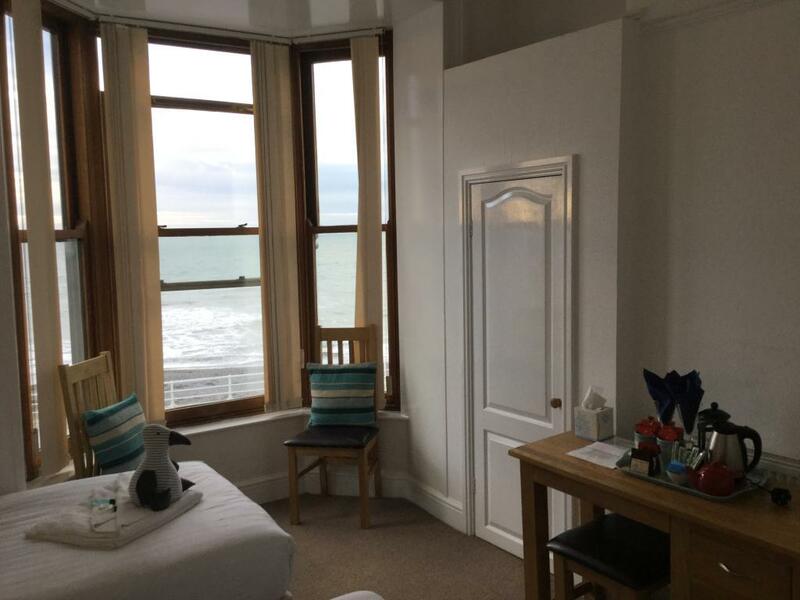 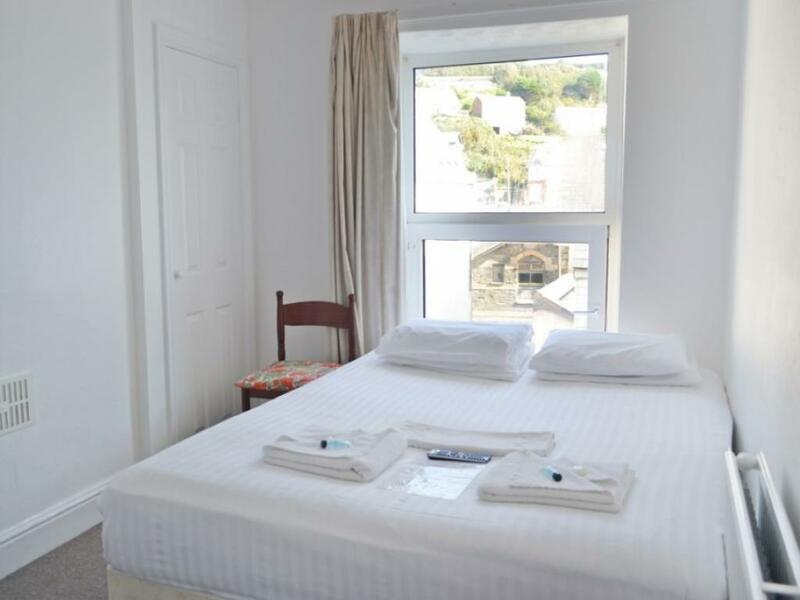 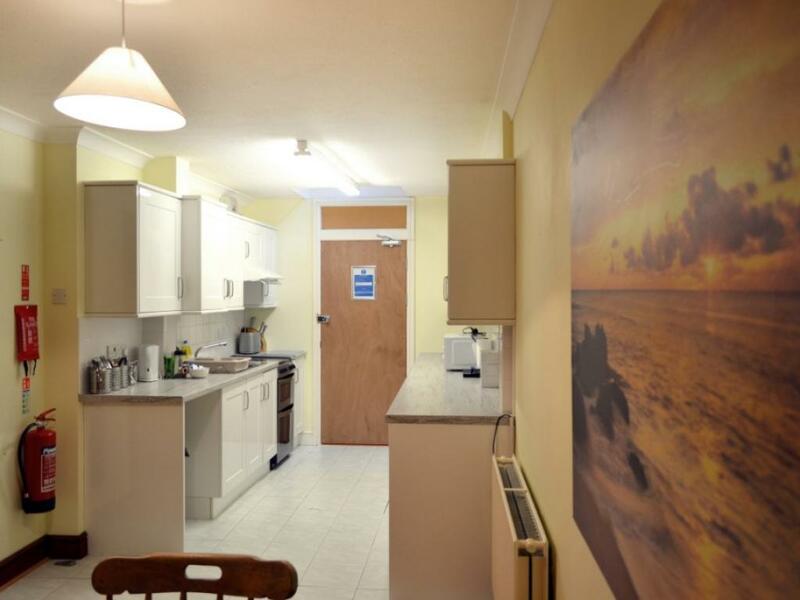 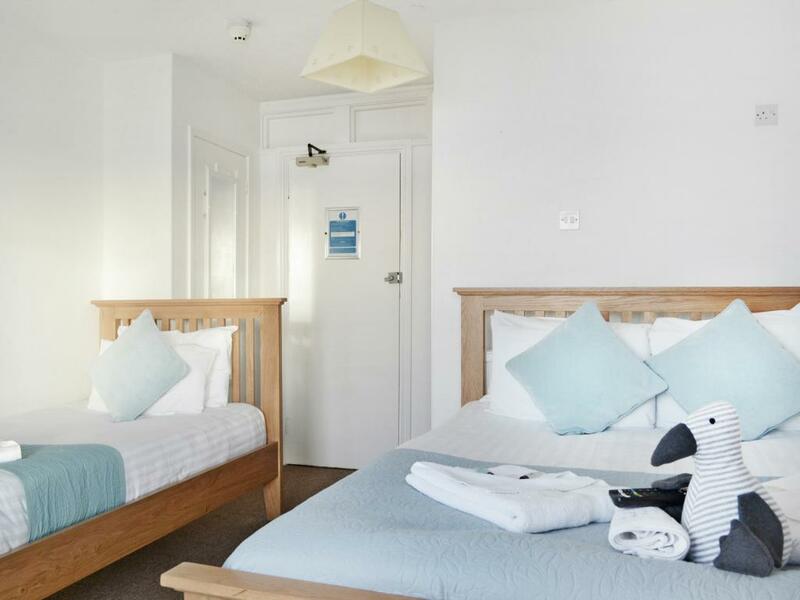 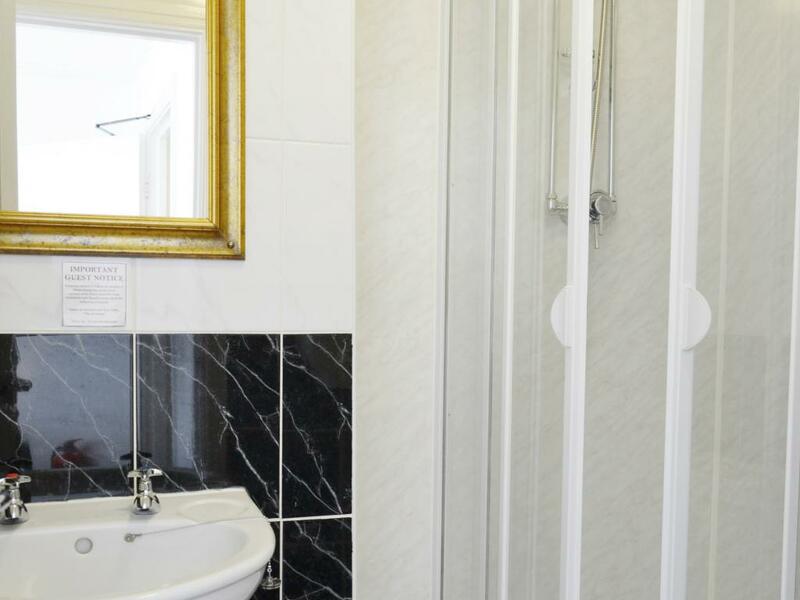 Many rooms have en-suite facilities and sea views and all rooms have a flat screen television along with tea and coffee making facilities consisting of fine organic coffee and herbal teas. 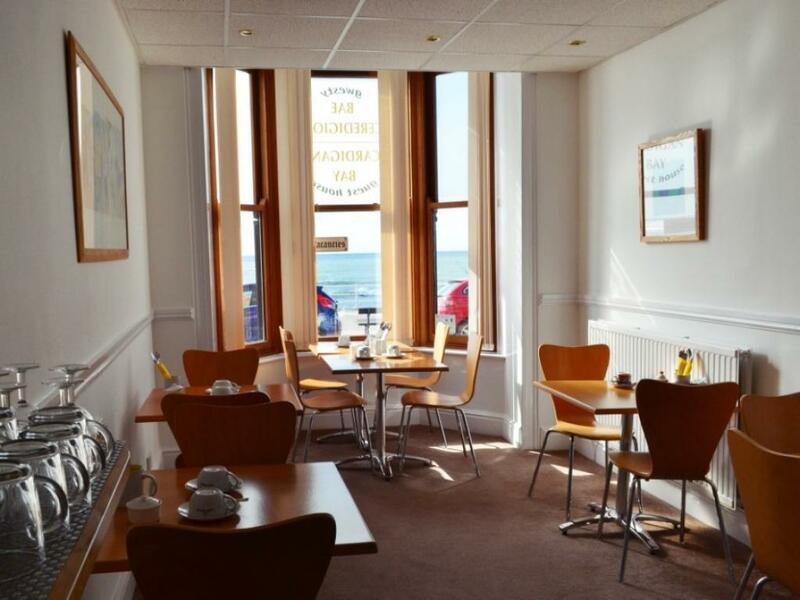 A fine continental breakfast is served daily in our breakfast room with sea views. 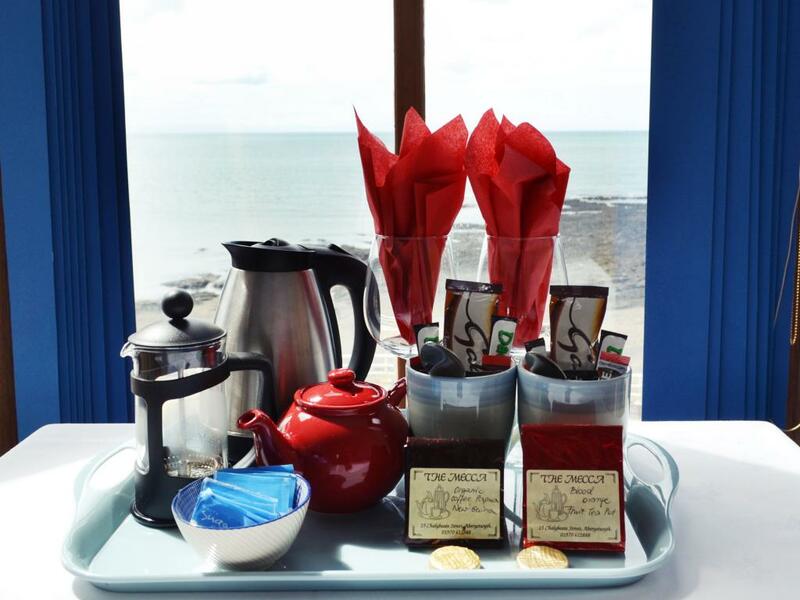 The breakfast consists of smoked salmon, herrings, continental cheese and meat, fresh fruit, yogurt, homemade local preserves and organic coffee and tea. 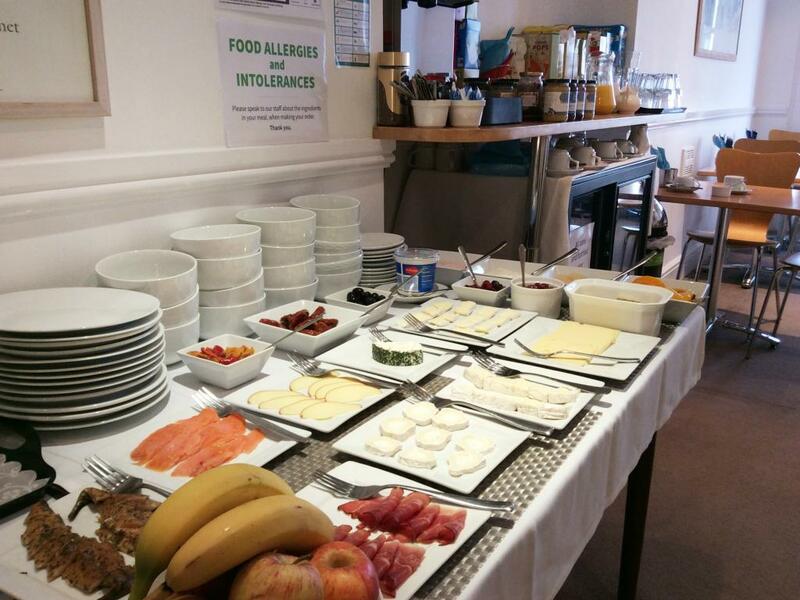 We always have a large selection of gluten free cereals available. 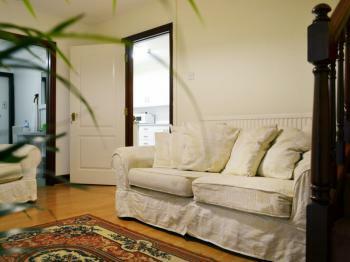 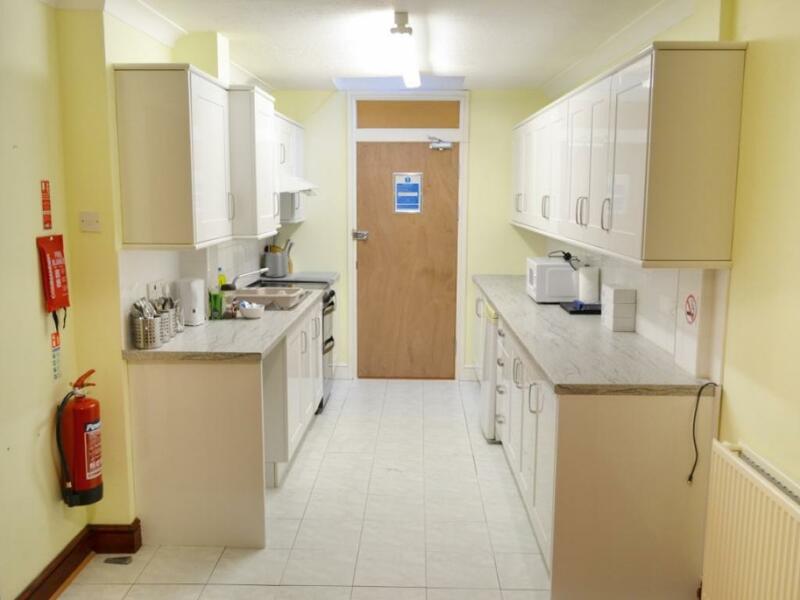 The property is within a 5 minute walk of the train station and a Local Authority car park is 100 yards away. 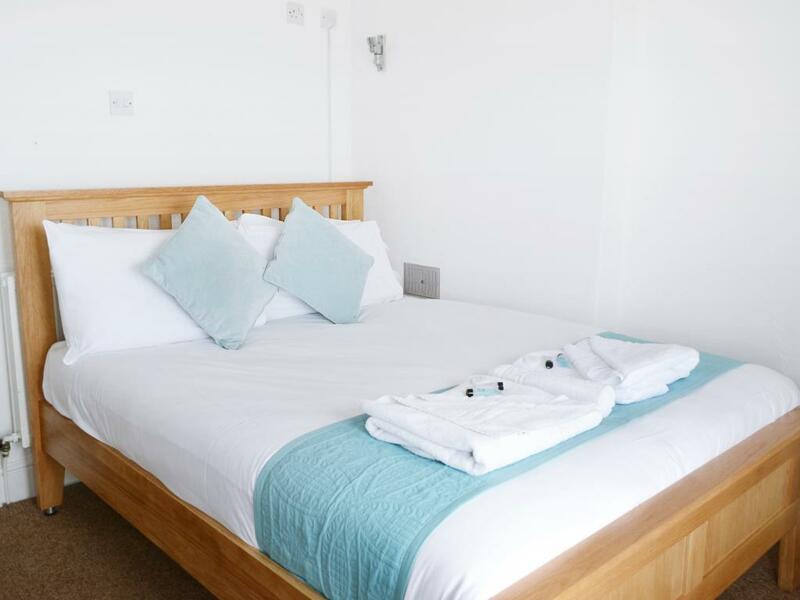 There is also free parking outside the guest house between the hours of 6pm and 9am and subject to availability there is free parking in the parking bays opposite from 2pm until 12pm the following day. 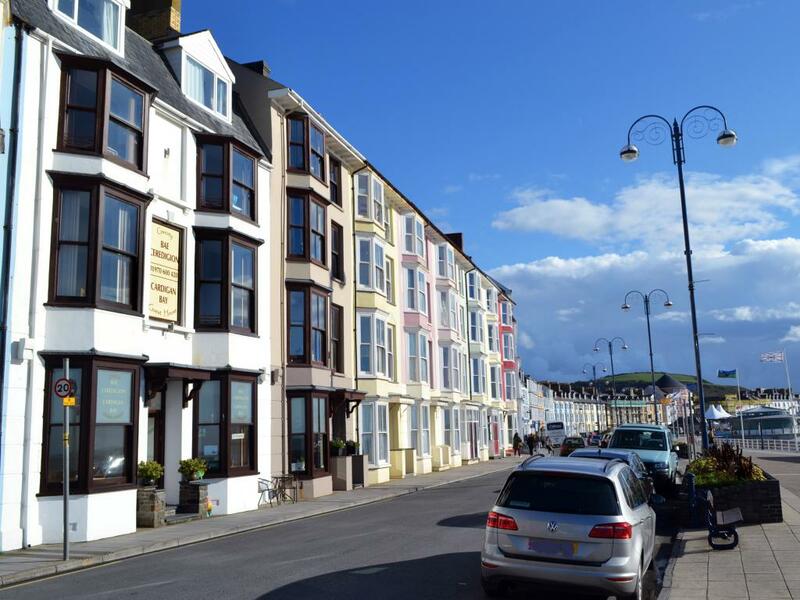 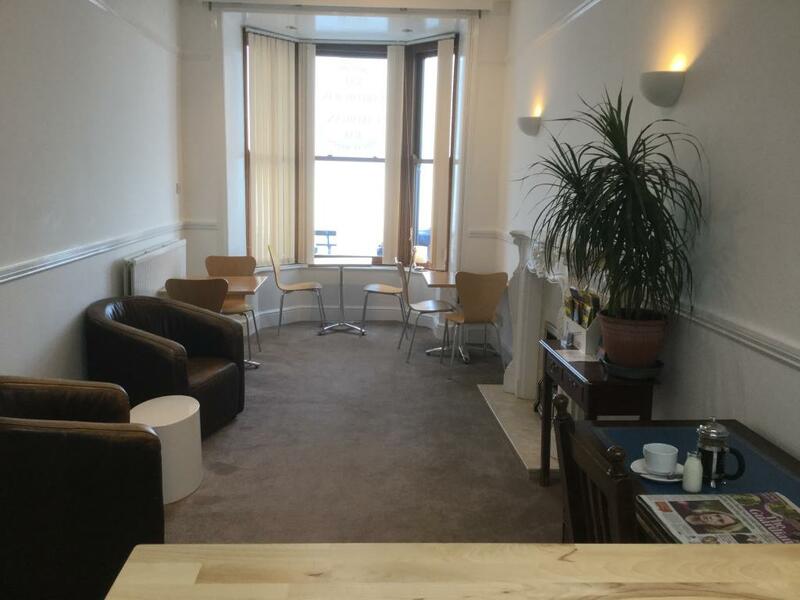 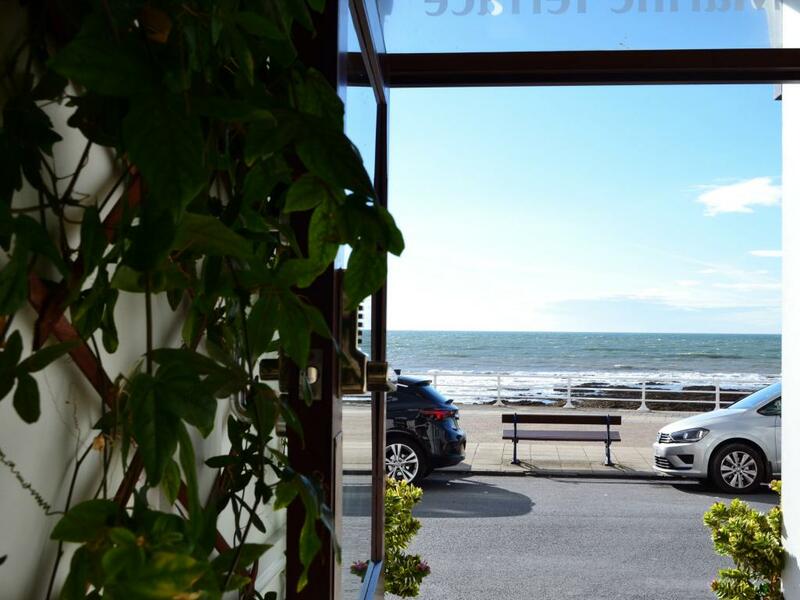 Cardigan Bay Guest House is located 1000 metres from Bronglais Hospital and The National Library of Wales and The University of Wales are just over 20 minutes walk away. 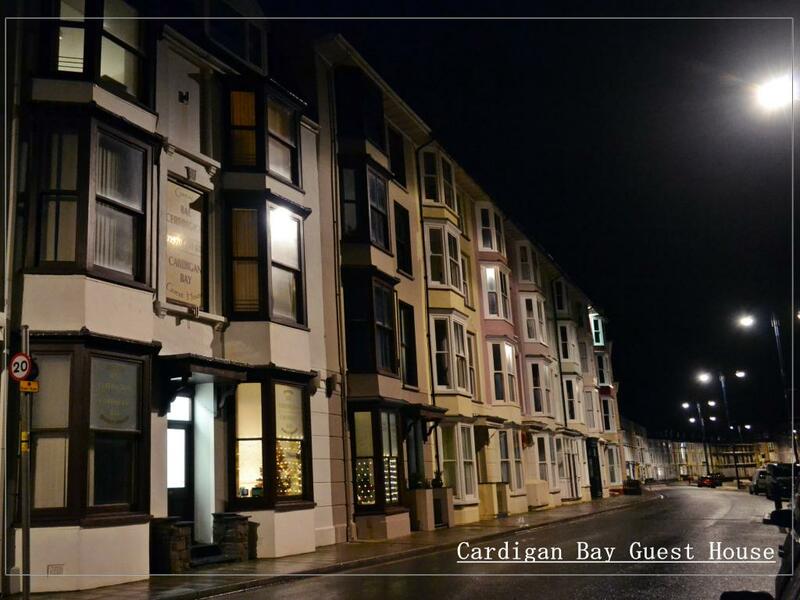 In the very near future we will be able to offer all guests at Cardigan Bay Guest House self catering facilities whereby a large kitchen and dining area will be available shortly. The filming of the hit television series Hinterland is filmed on the next street at certain times of the year. 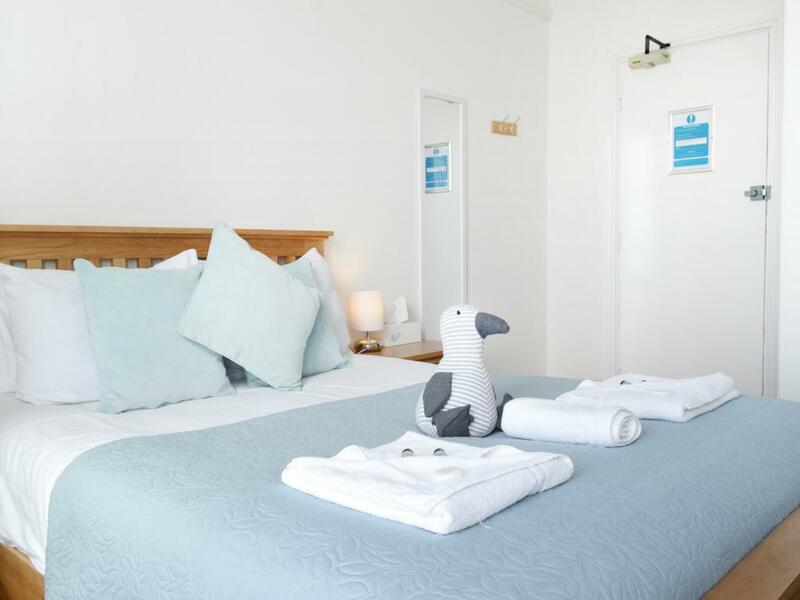 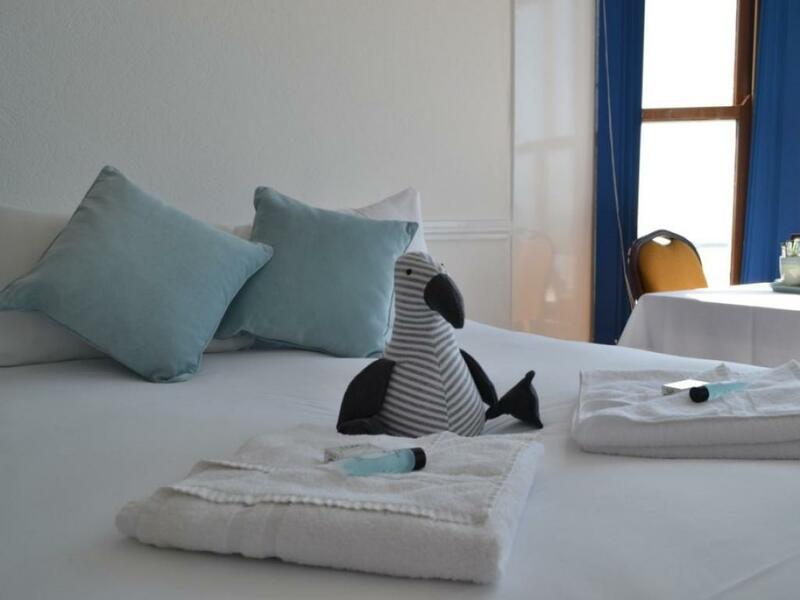 All rooms have pleasant furnishings and many rooms have sea views and en-suite facilities and dolphins can be seen on occassions. 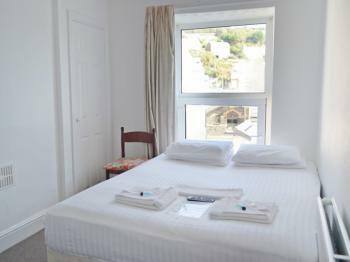 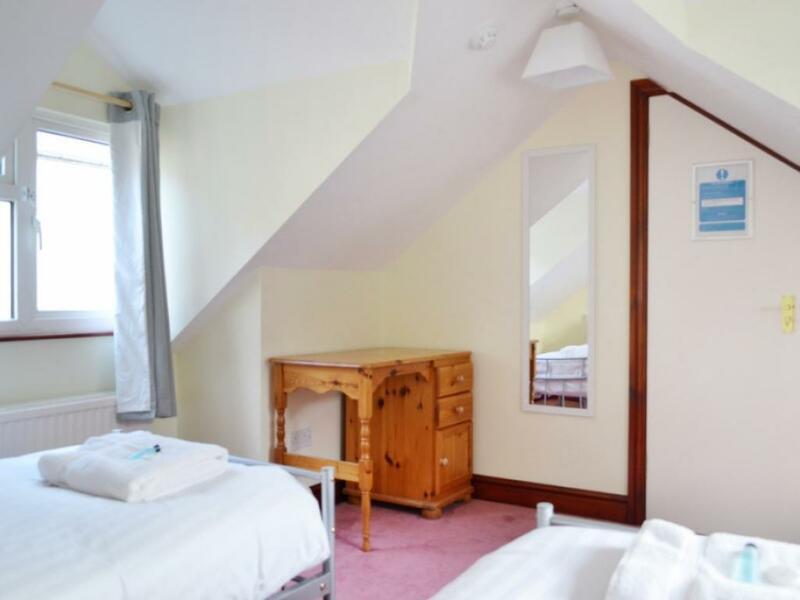 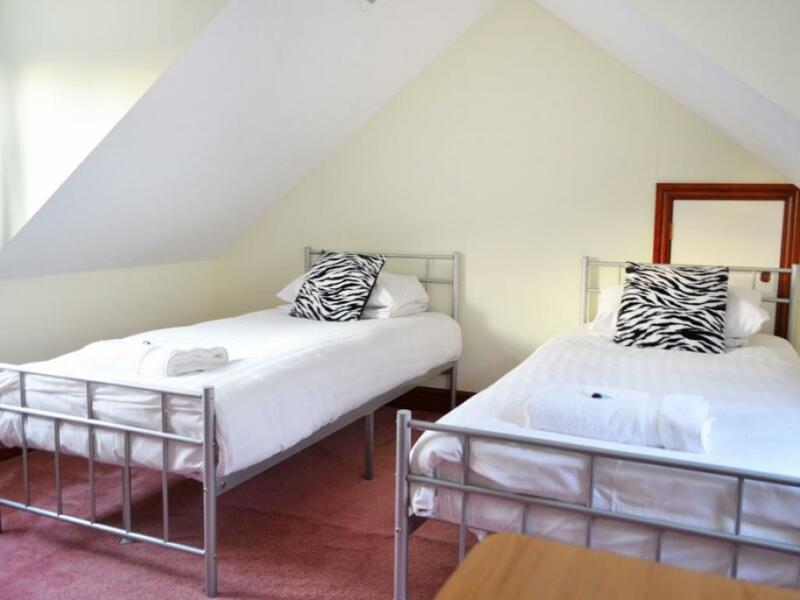 We have a selection of double, family, twin and single rooms available. 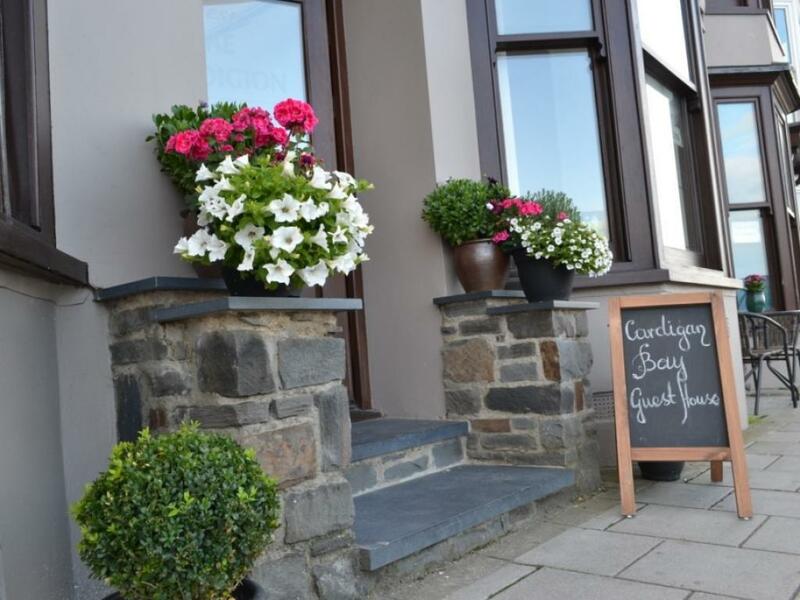 Cardigan Bay Guest House is ideal for cyclists and guests can leave bikes in our rear yard at the risk of the owner. 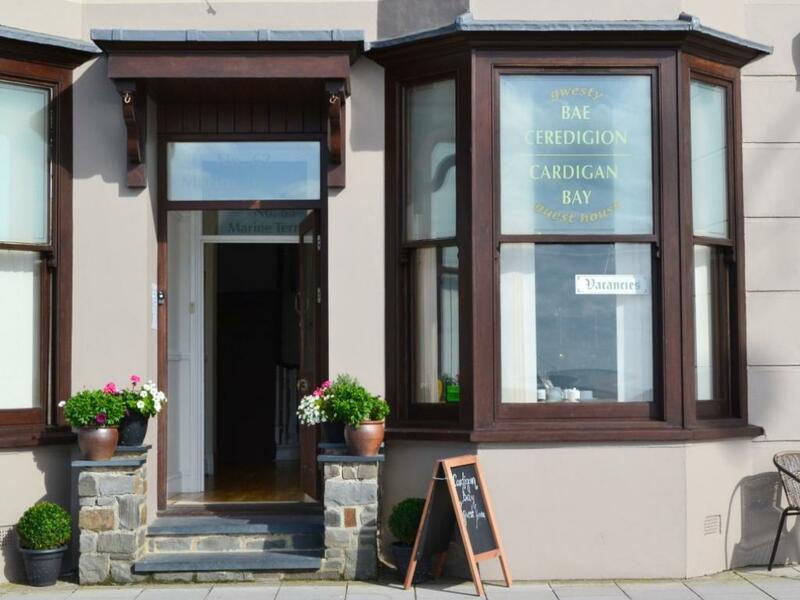 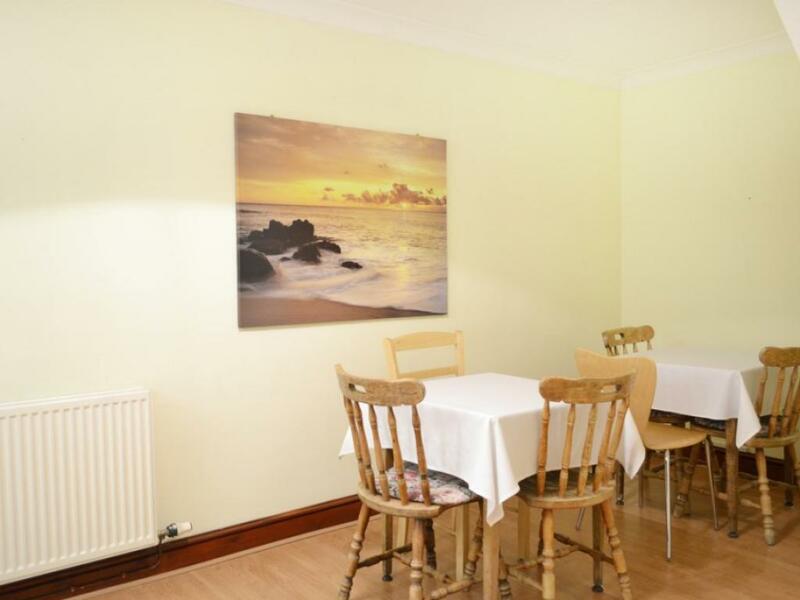 Cardigan Bay Guest House is proving to be very popular with international travellers. 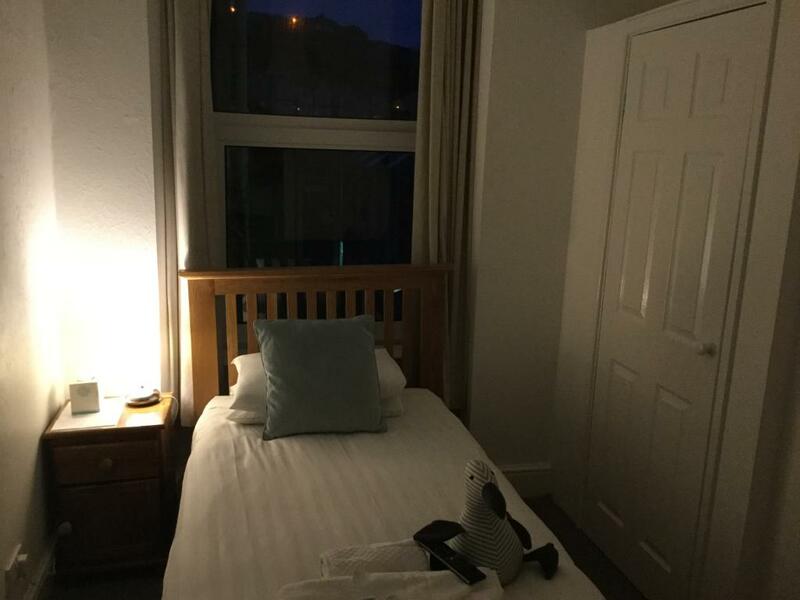 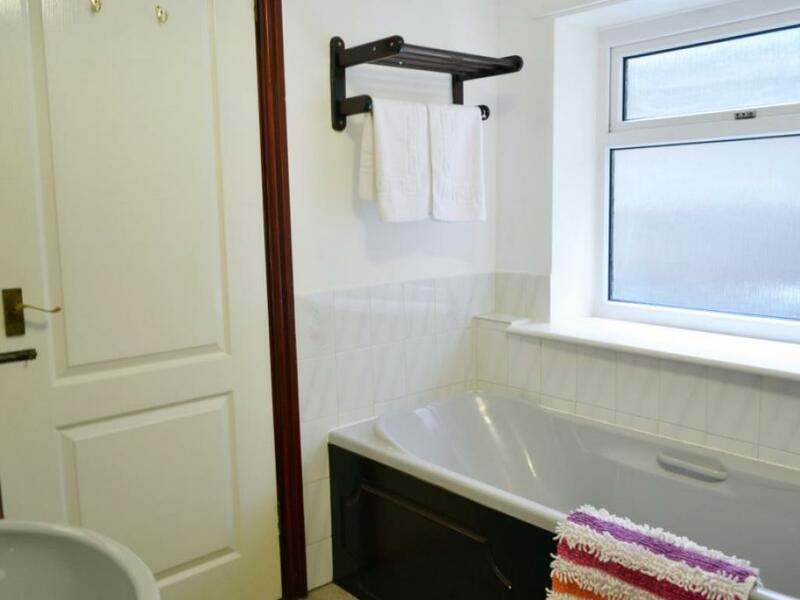 Cardigan Bay Guest House has its own 3 bedroom self contained apartment with rear views which is accessed through the main property. 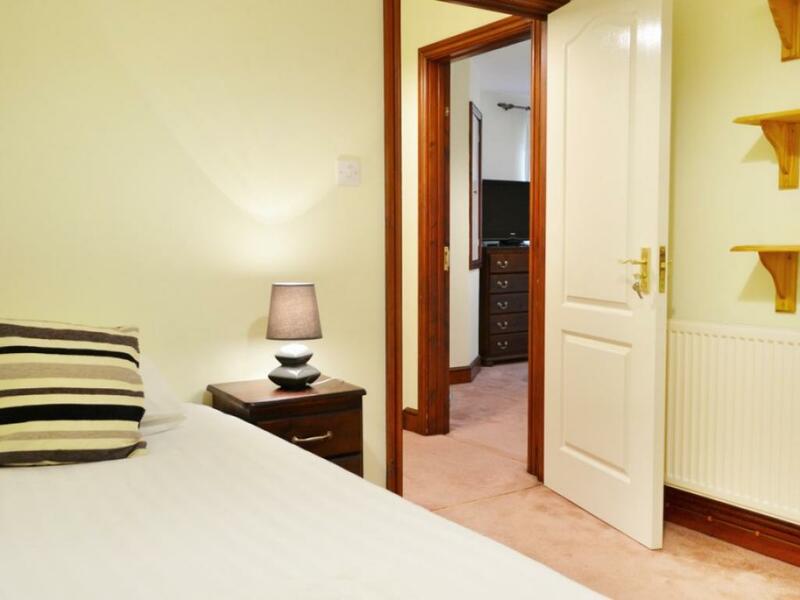 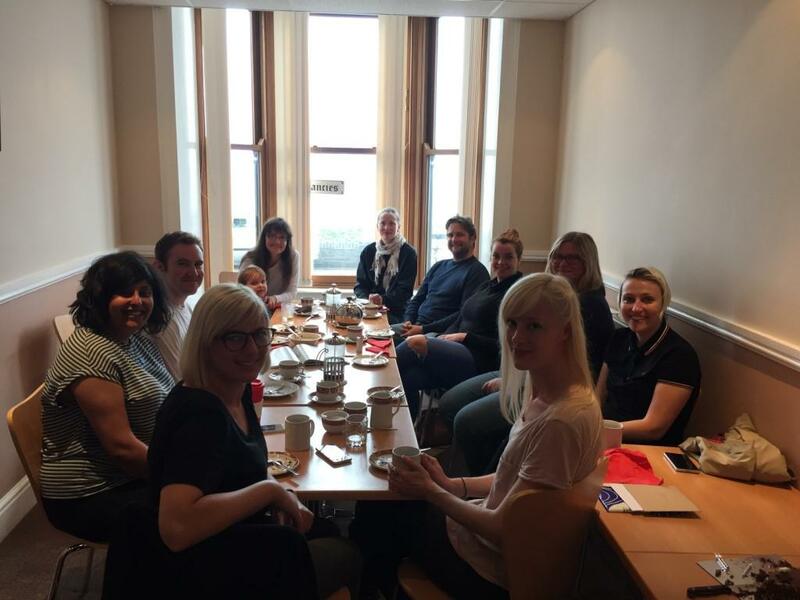 The apartment is ideal for family events and reunions. 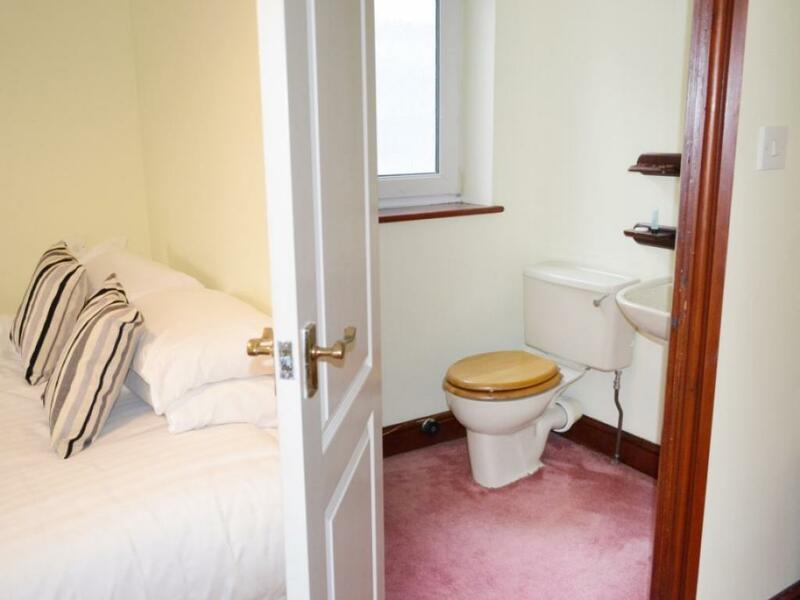 Unfortunately we do not have any ground floor rooms. 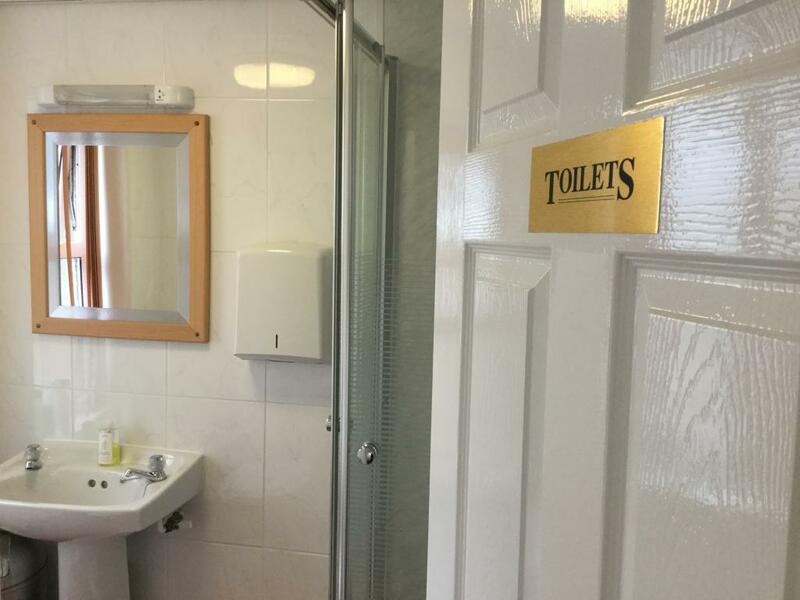 We do not have a lift. 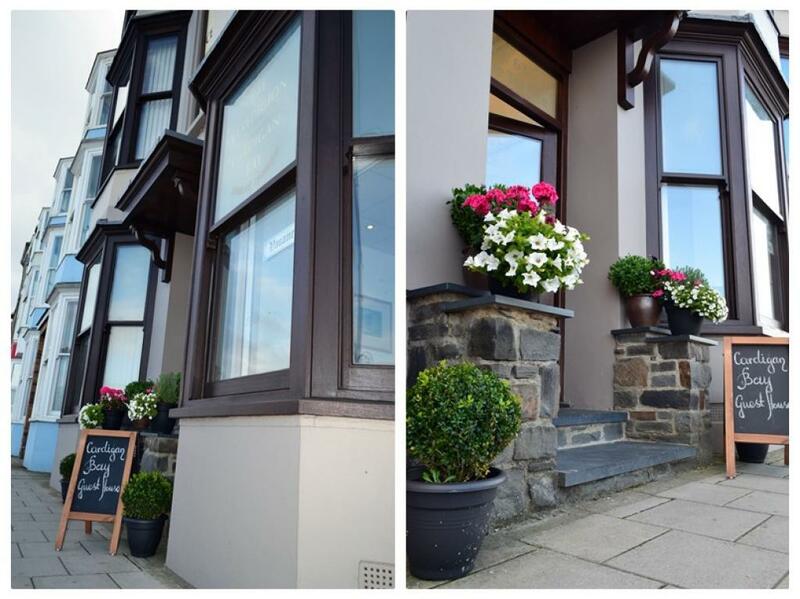 Upon reaching the train station and opposite Wetherspoons the pub walk down Terrace Road. 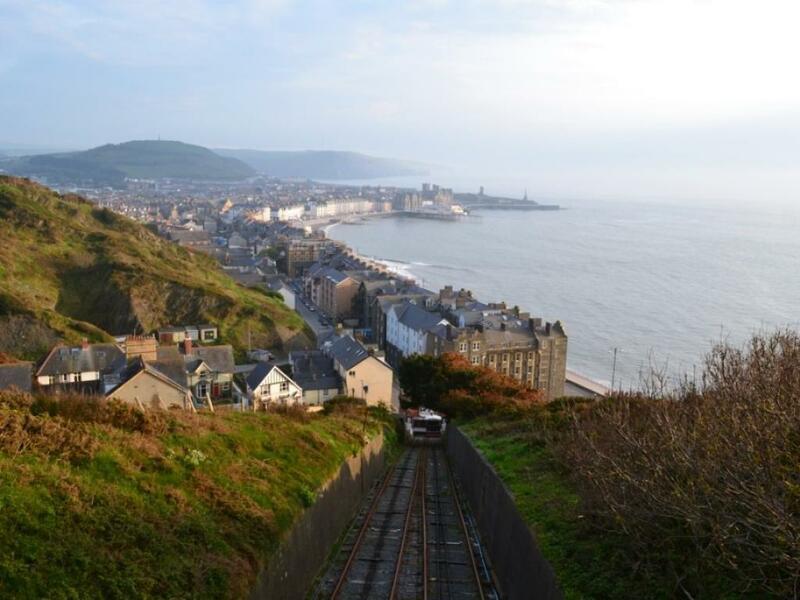 Keep going until you reach the seafront. 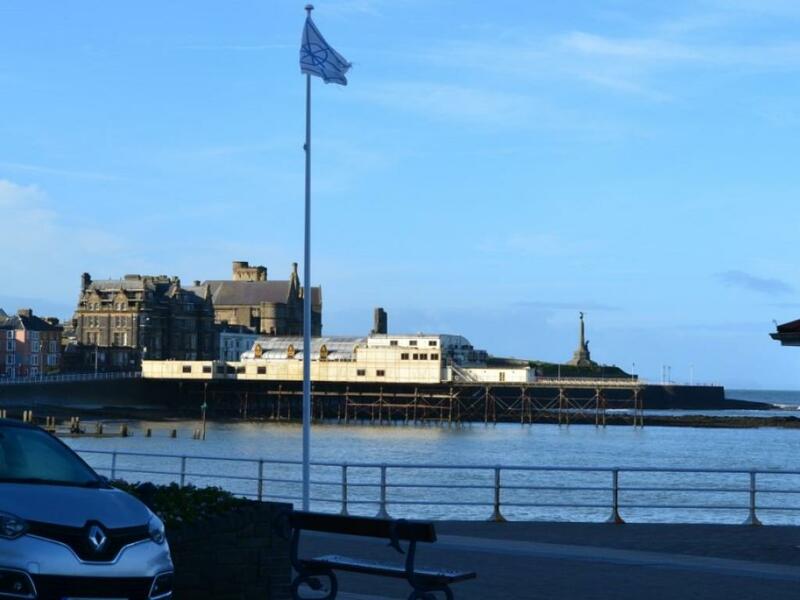 Upon reaching the seafront turn right. We are located at 63 Marine Terrace. In total we are just over a 5 minute wlak from the train station.